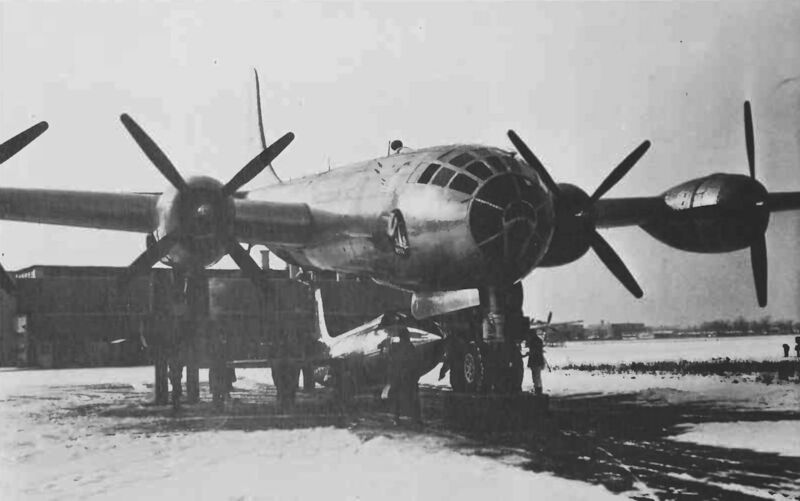 Bell X-1A being positioned beneath the B-29 motherplane. 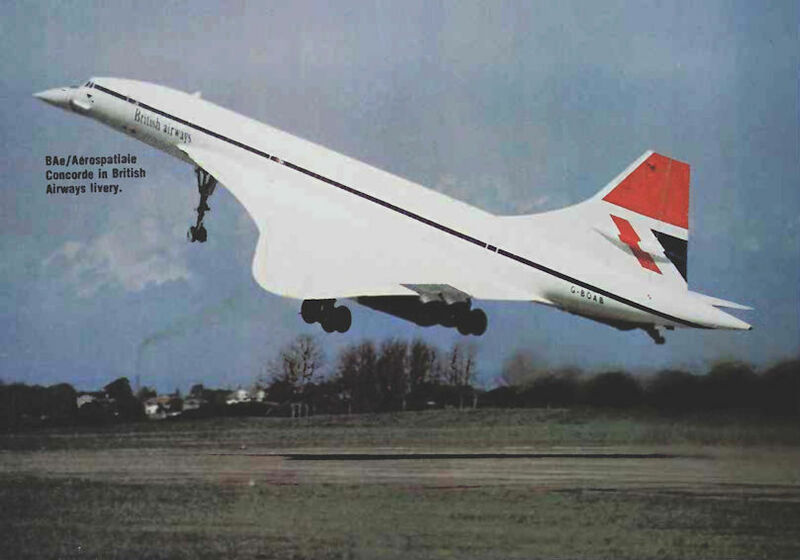 BAe/Aerospatiale Concorde in British Airways livery. 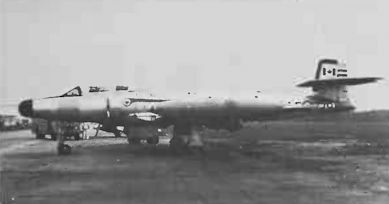 Эскадрилья VMF-212 действовала с береговых баз в Корее с конца 1951 года до завершения боевых действий. Подразделение использовало свои Corsair в качестве штурмовиков, ночных истребителей и разведчиков. 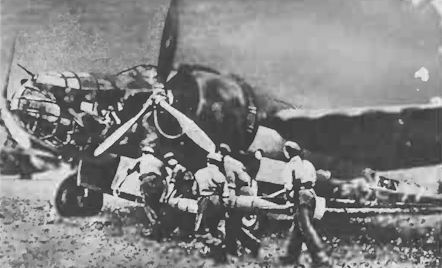 Chance Vought F4U Corsairs operating during the Korean War. 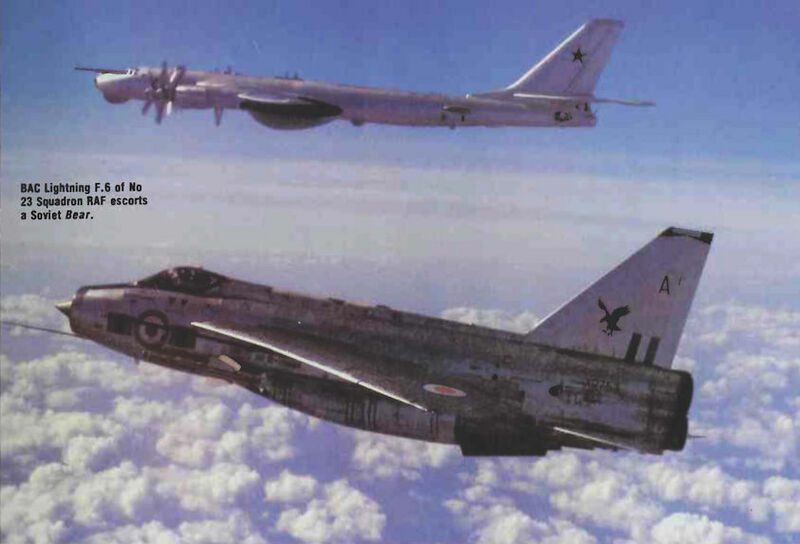 BAC Lightning F.6 of No 23 Squadron RAF escorts a Soviet Bear. 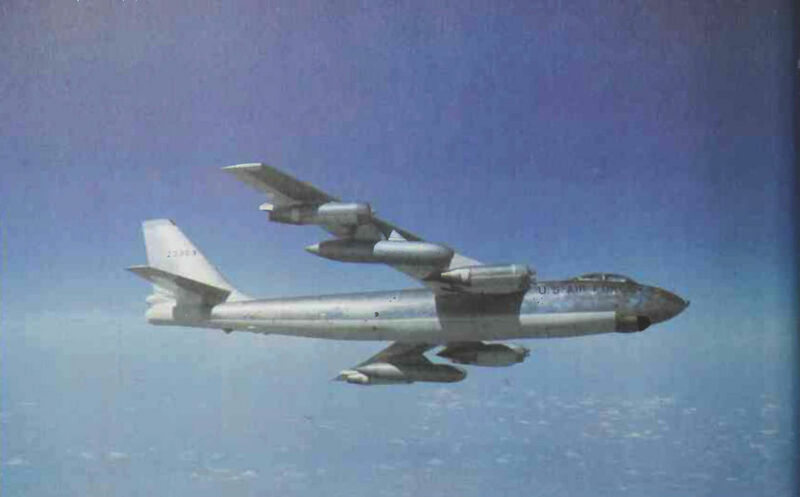 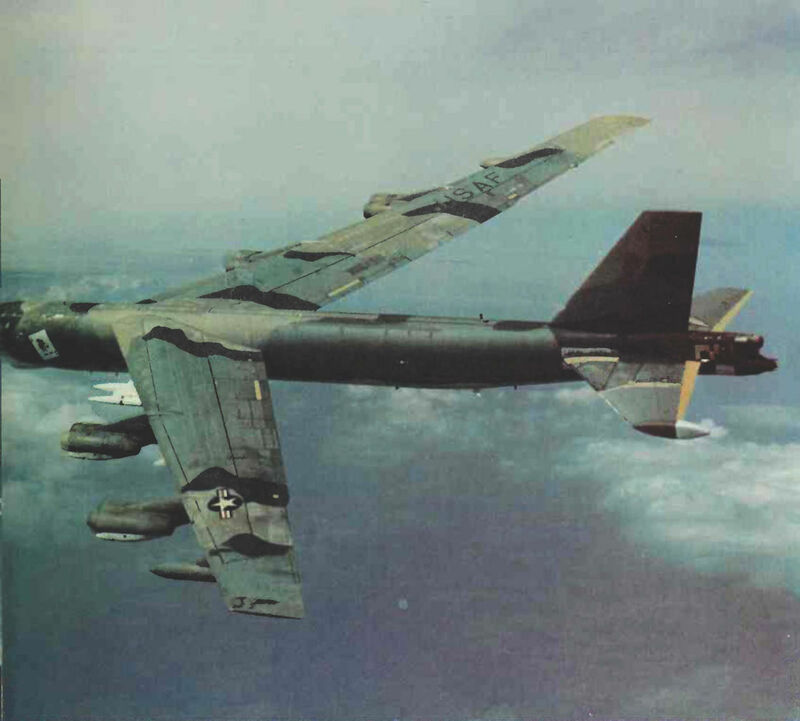 Boeing Model 464/B-52G Stratofortress carrying SRAM missiles. 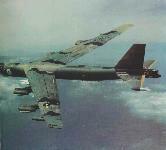 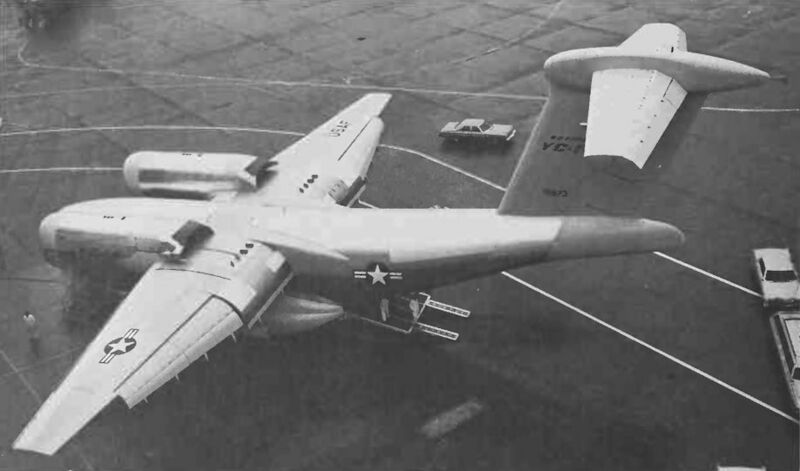 Boeing Model 464/B-52H Stratofortress carrying two Hound Dog missiles. 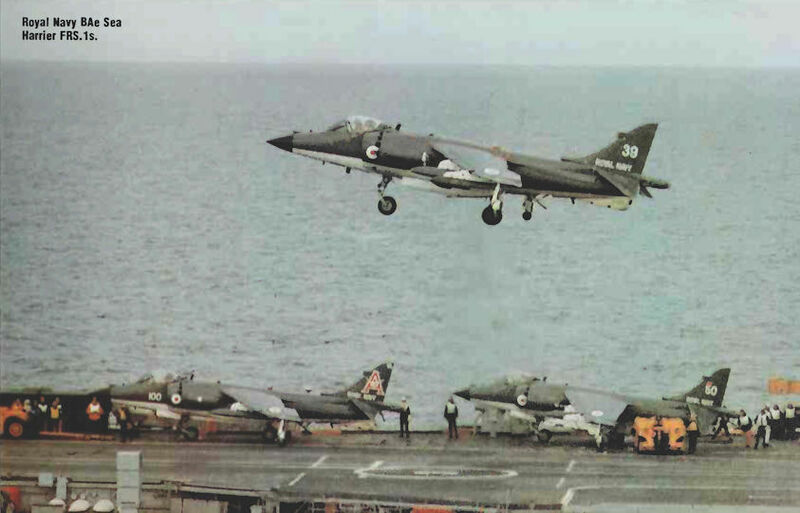 Royal Navy BAe Sea Harrier FRS.1s. 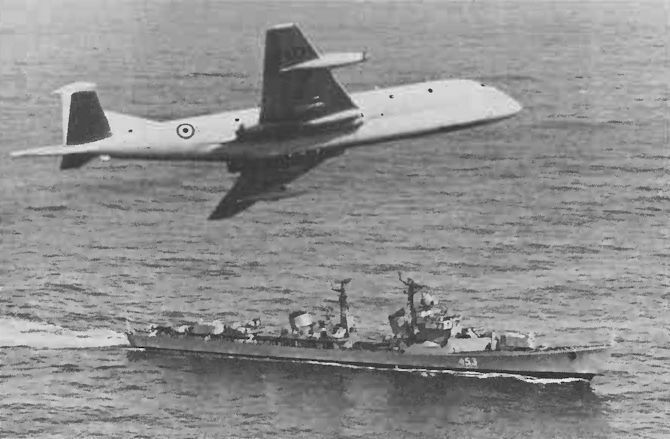 BAe (HS) Sea Harrier FRS.1. 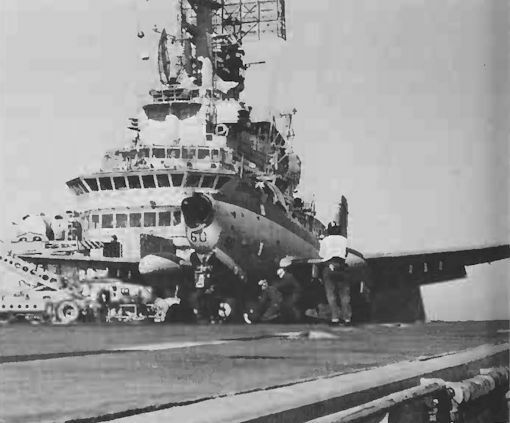 Two Chance Vought F7U-3s being positioned on the steam catapults of USS Forrestal. 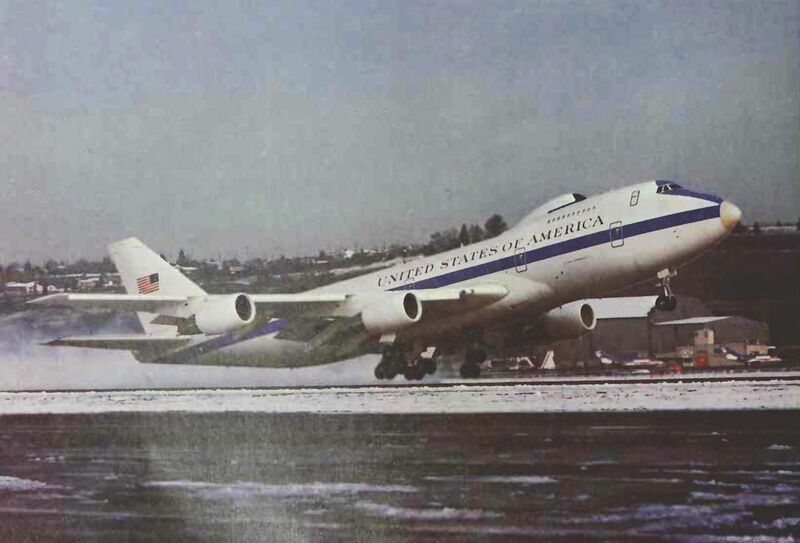 The 500th Boeing C-97 delivered to the USAAF/USAF as a KC-97G. 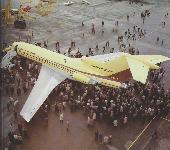 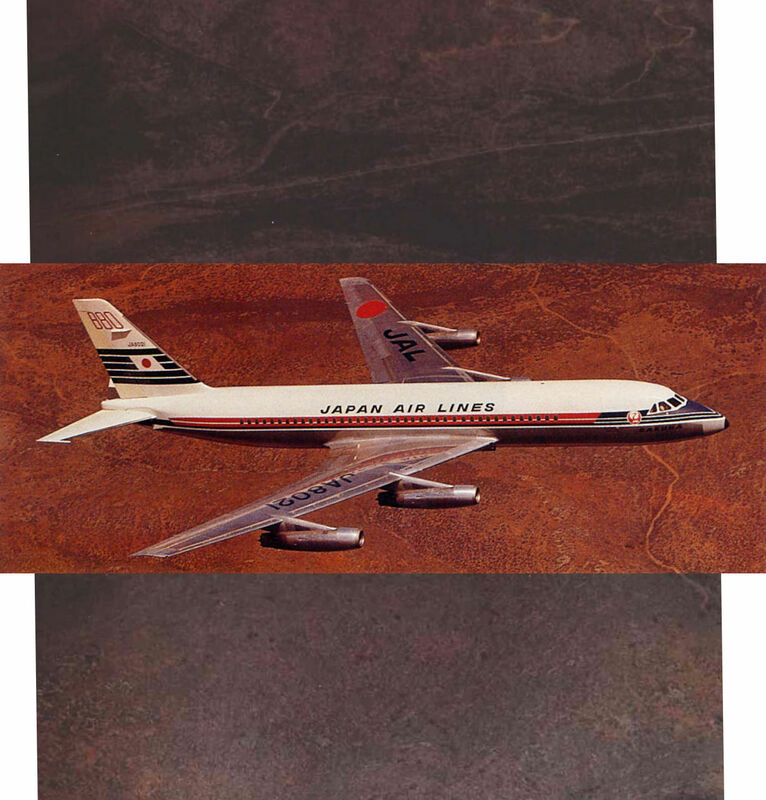 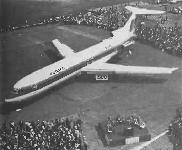 The 1,500th Boeing 727 (an Advanced 727-200}. 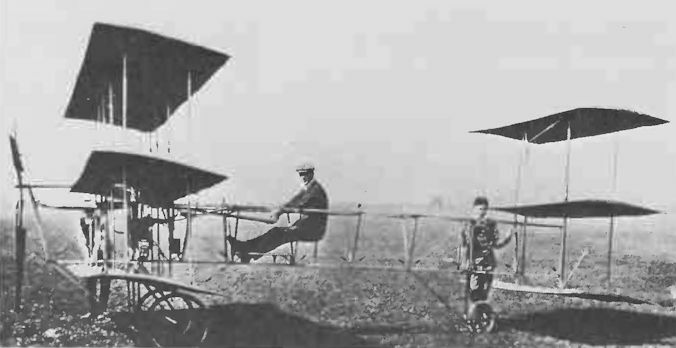 Capitano Piazza and his Bleriot XI. 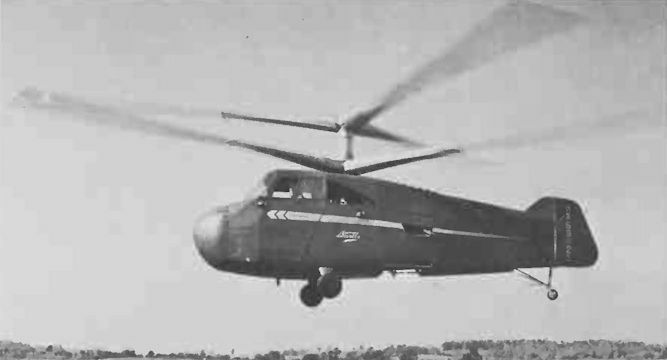 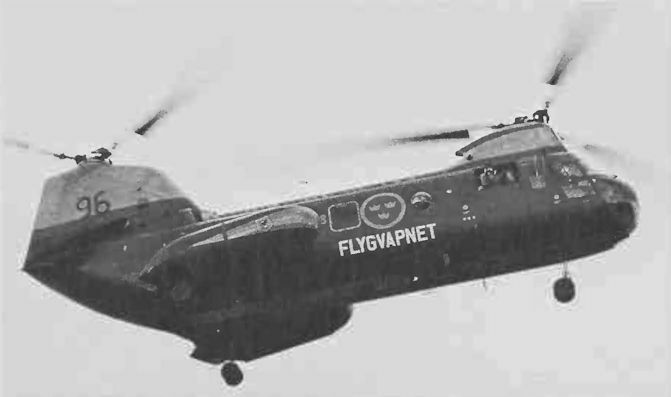 Elicotteri Meridionali-built CH-47C Chinook in Italian Army Aviation markings. 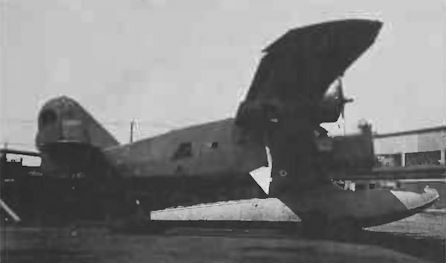 Atlantic C-2A Question Mark, which set an endurance record in 1929 using flight refuelling. 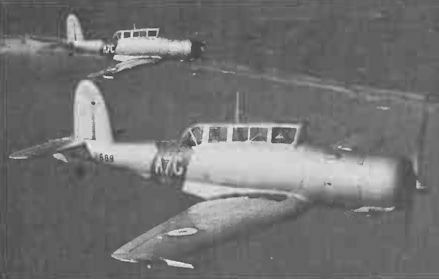 Bristol Bulldog IIAs with experimental ring cowlings around the engines. 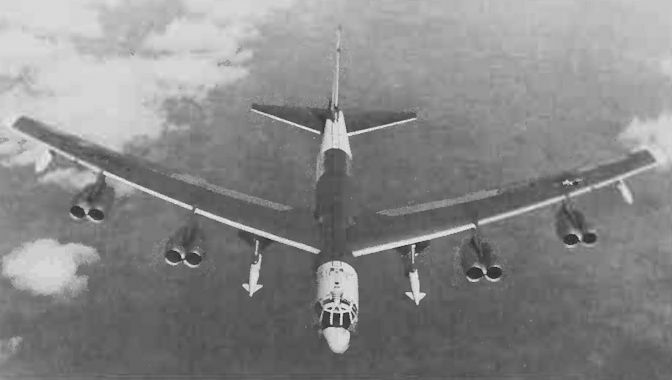 BAC (English Electric) Canberra Mk 82 for Venezuela. 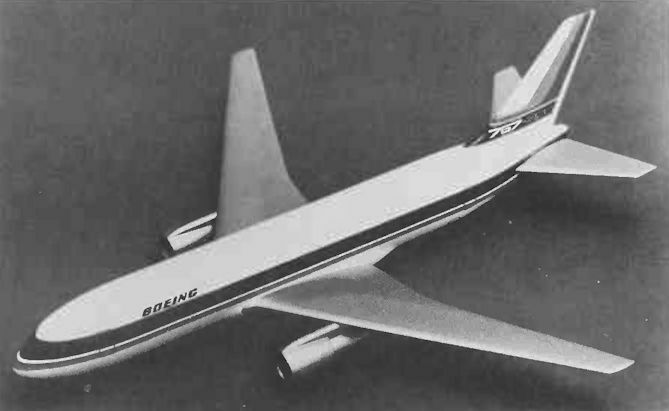 Model of the Boeing 767-200. 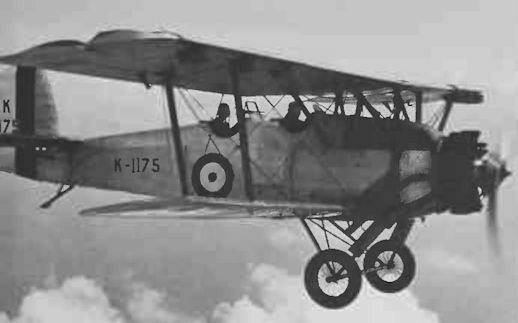 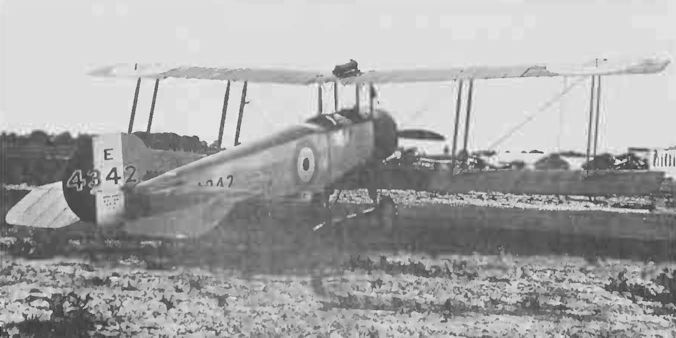 British Army Aeroplane No 1. 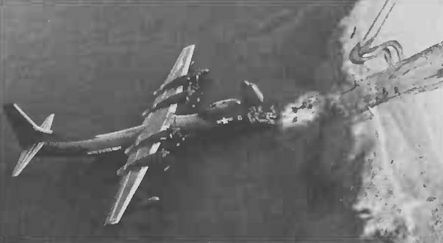 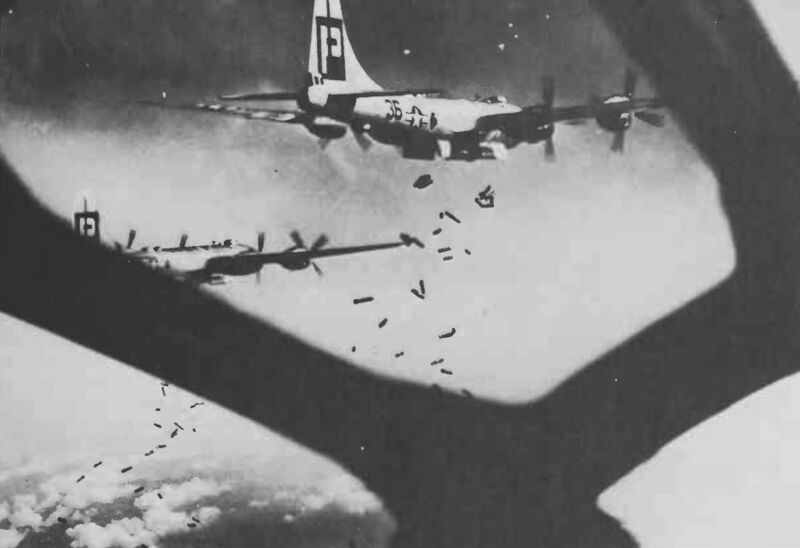 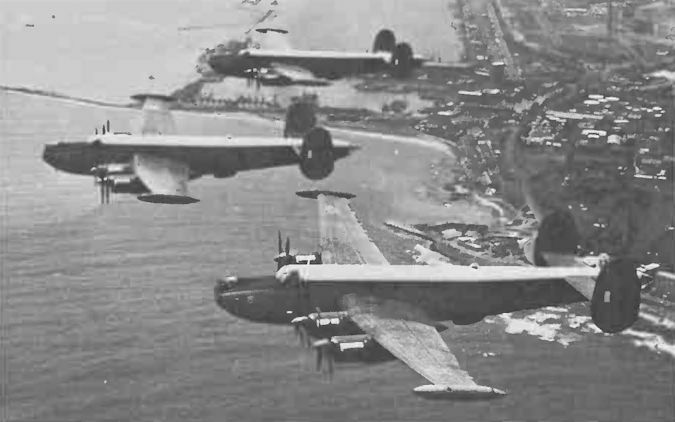 Consolidated B-24 Liberators in the Pacific theatre of war. 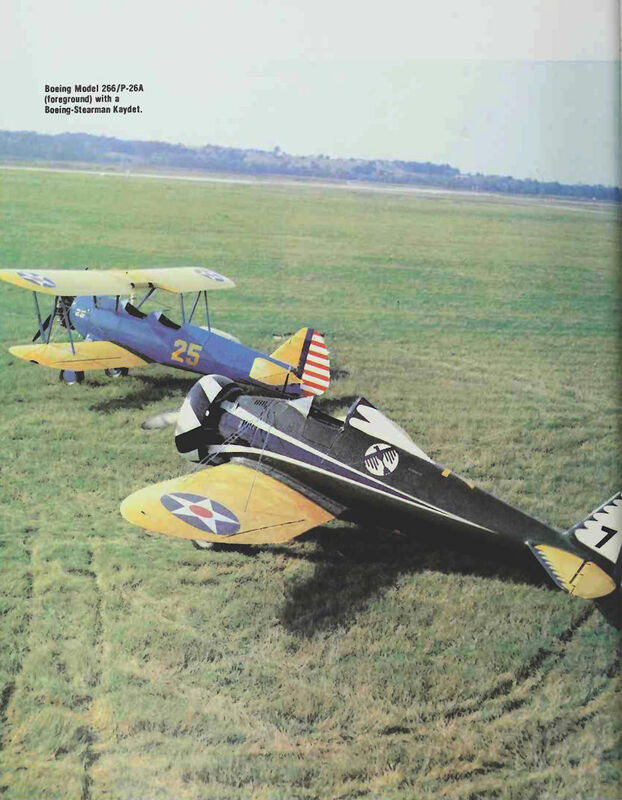 Boeing Model 266/P-26A (foreground} with a Boeing-Stearman Kaydet. 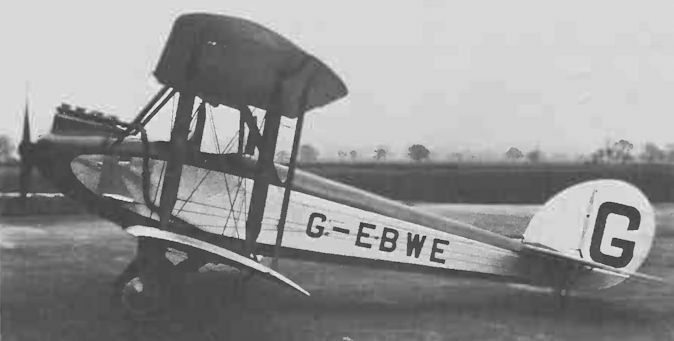 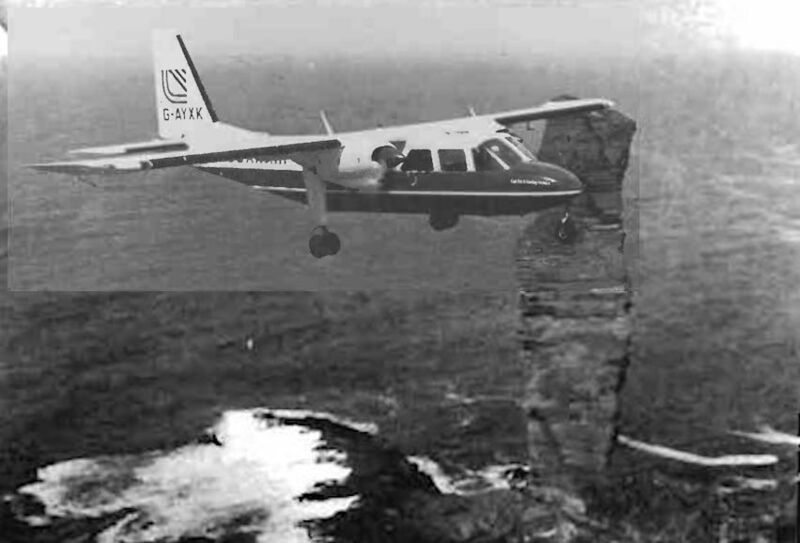 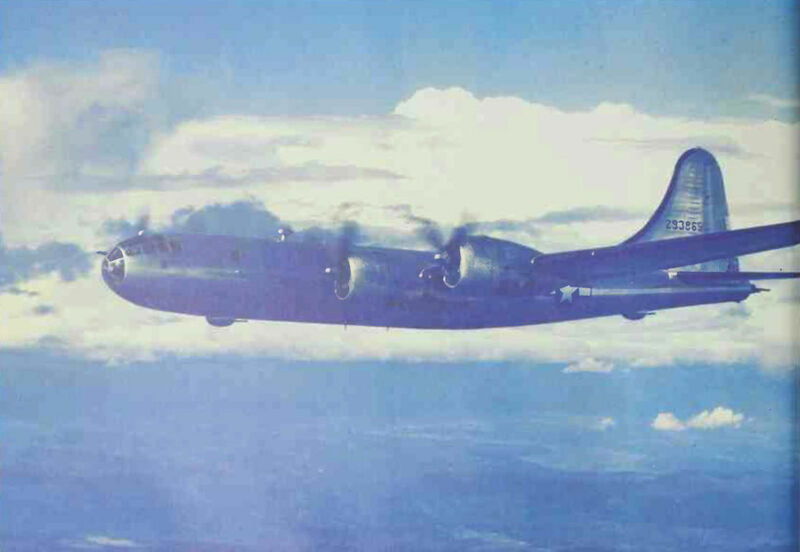 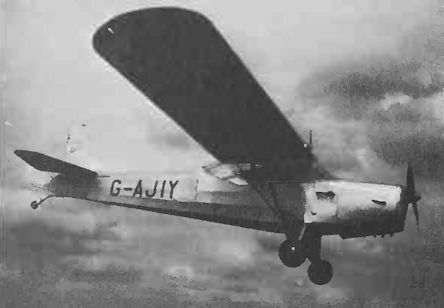 Armstrong Whitworth A.W.650 Argosy flown by Riddle Airlines. 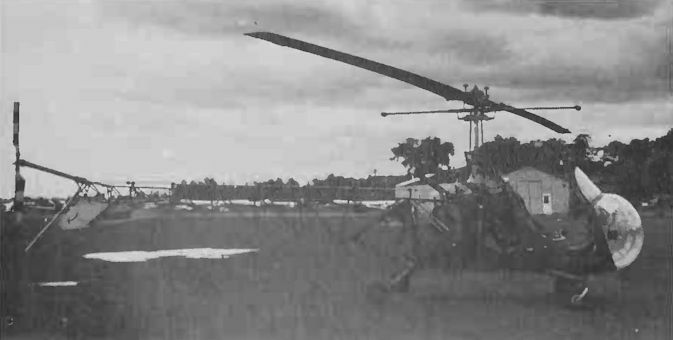 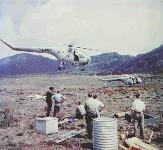 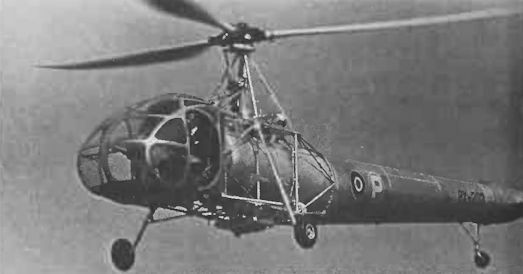 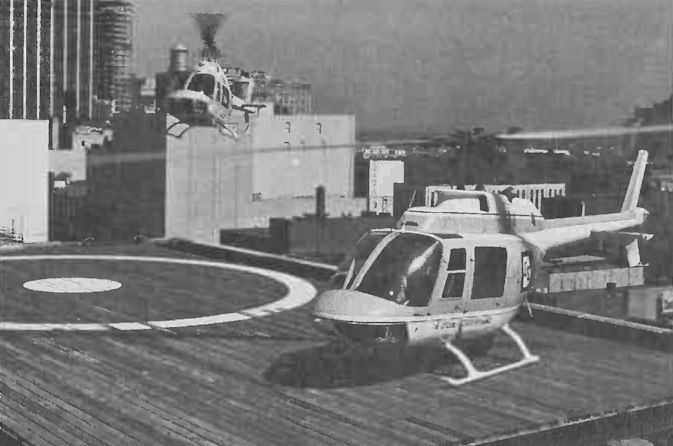 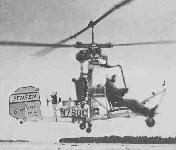 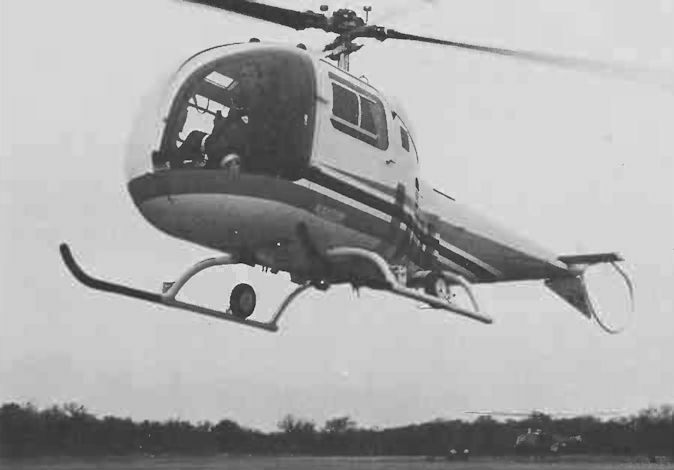 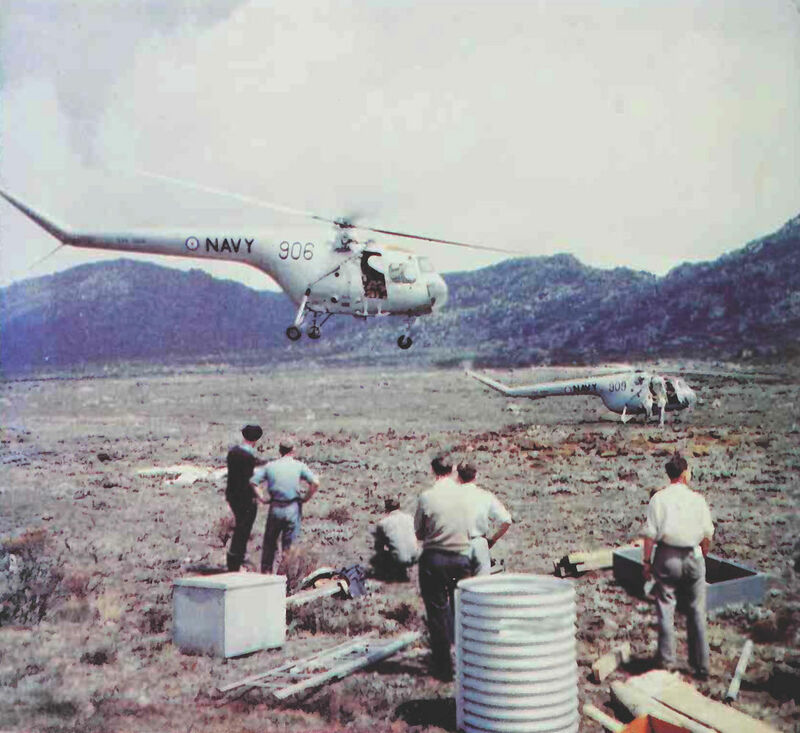 Bristol Sycamore helicopters operated by the Royal Australian Navy. 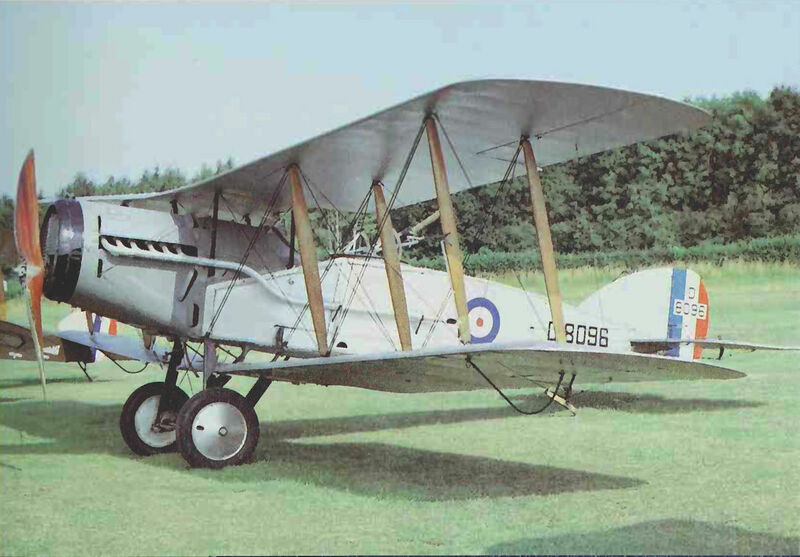 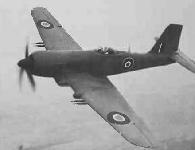 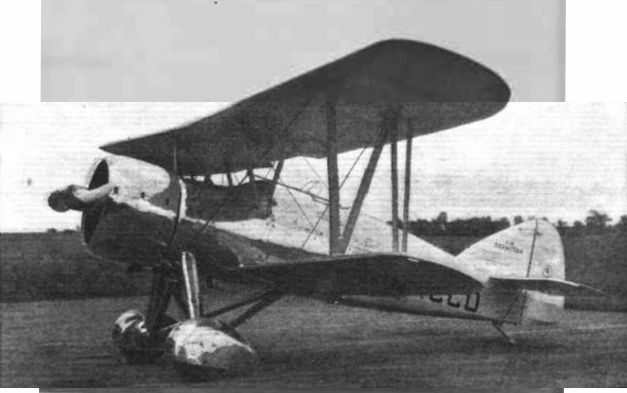 Post-war version of the Bristol F.2B Fighter. 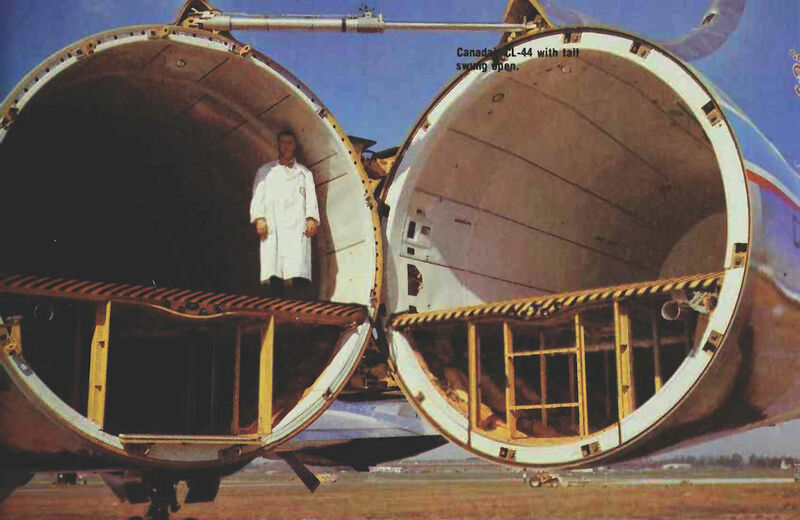 Avro 504 fuselages awaiting assembly. 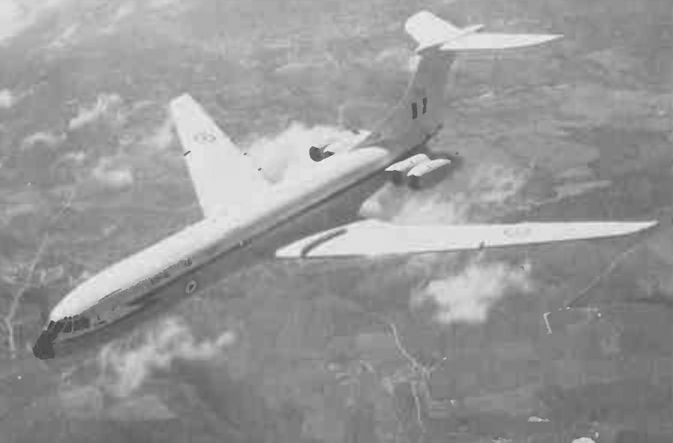 BAC VC10 in the former RAF Air Support Command livery. 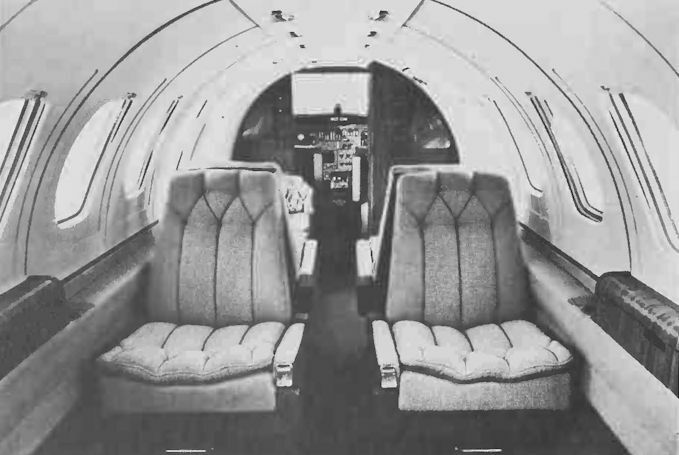 Interior of a Cessna Citation II. 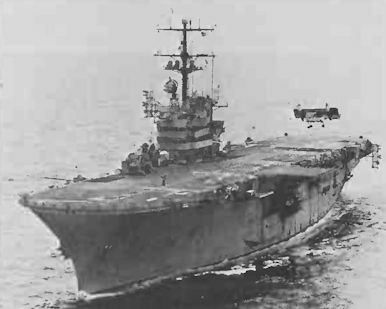 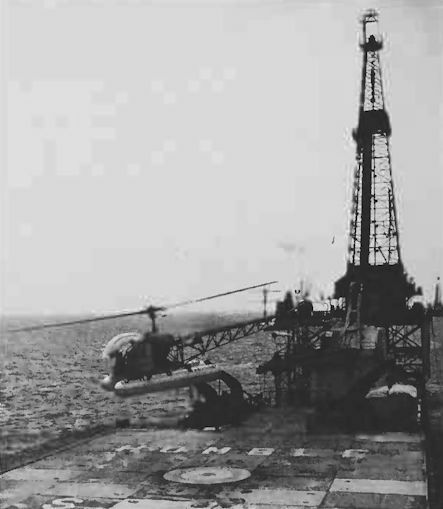 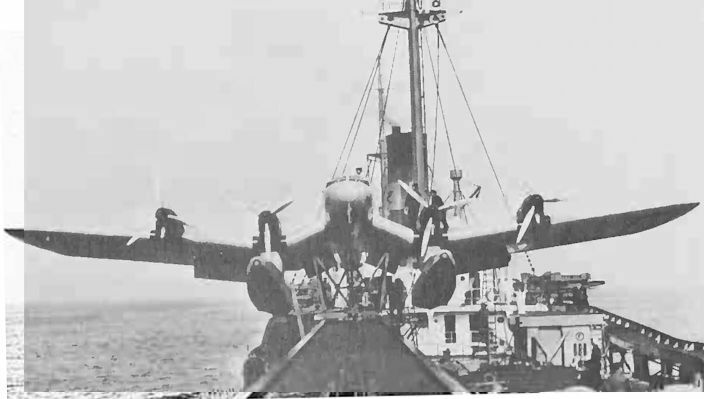 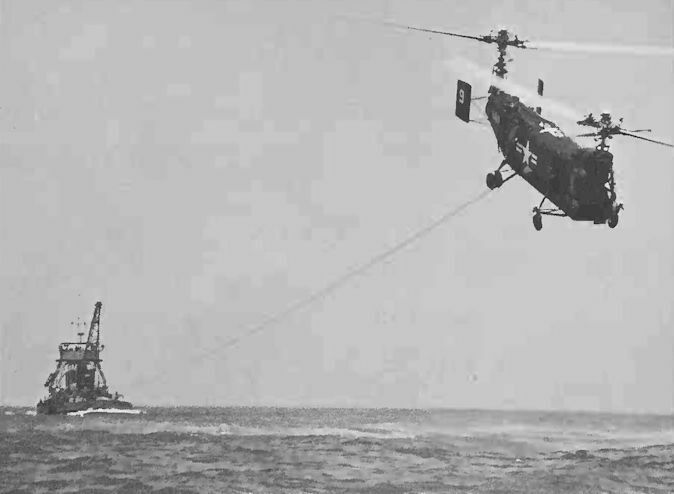 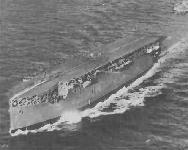 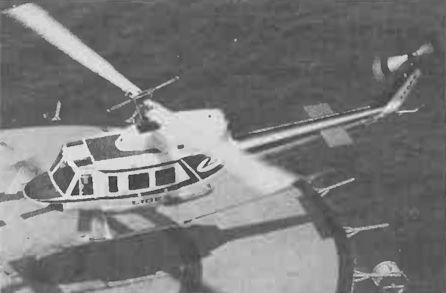 Canadair CL-84 landing on board ship. 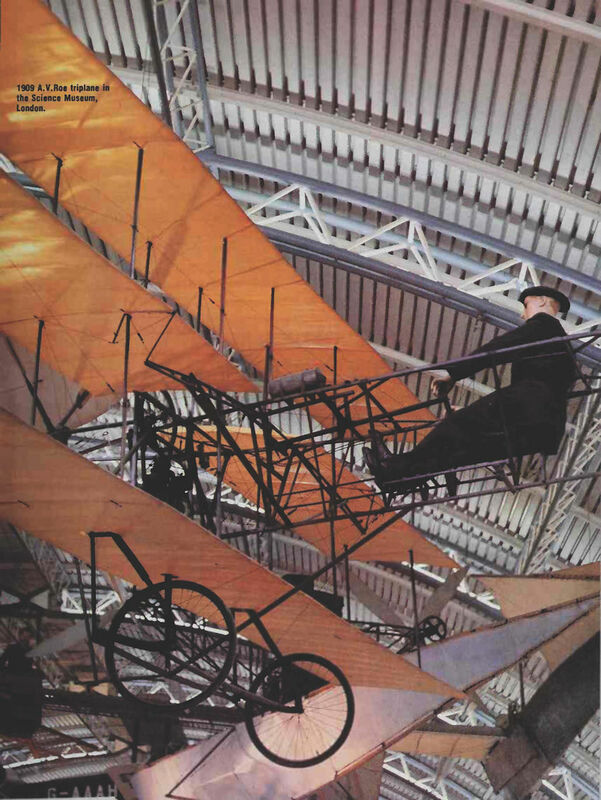 1909 A.V.Roe triplane in the Science Museum, London. 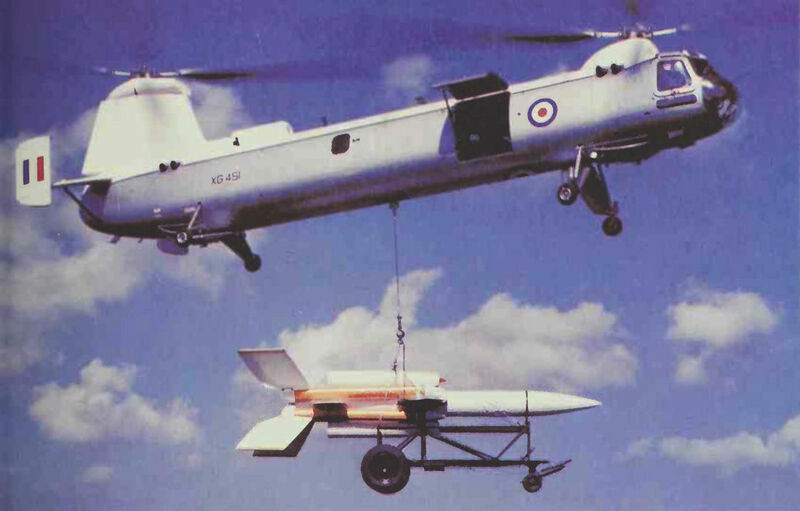 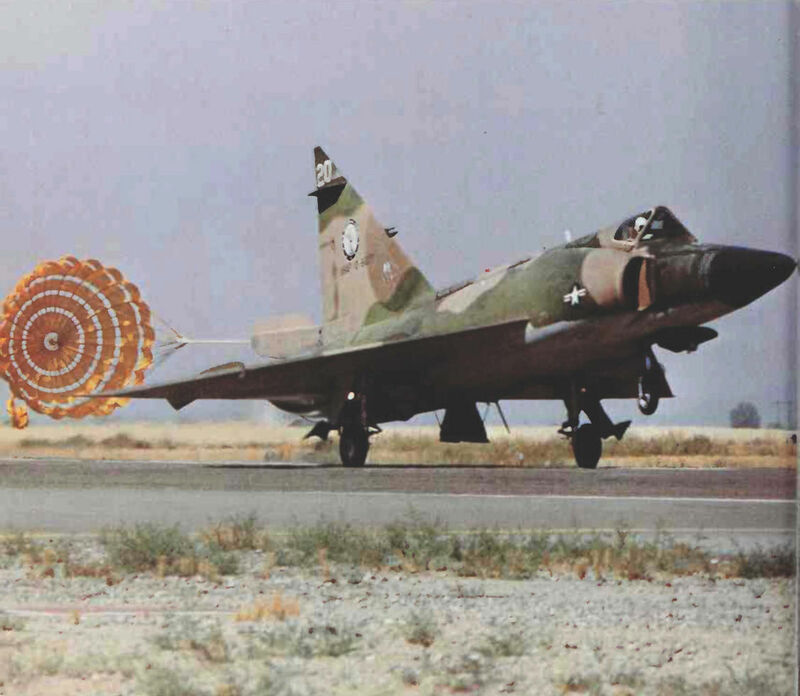 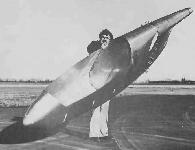 Alliott Verdon Roe with the Roe III. 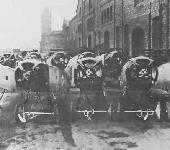 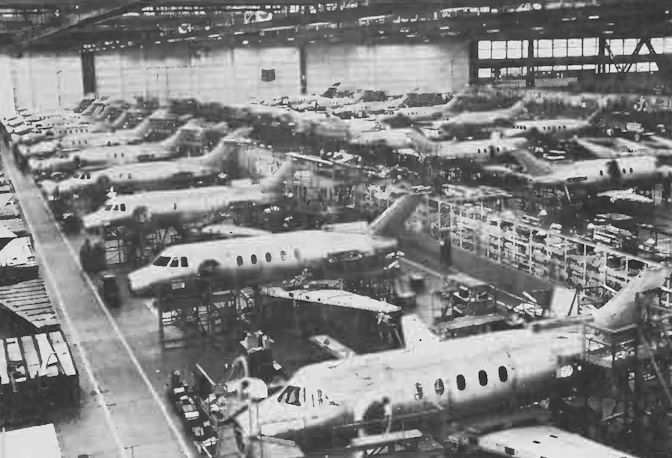 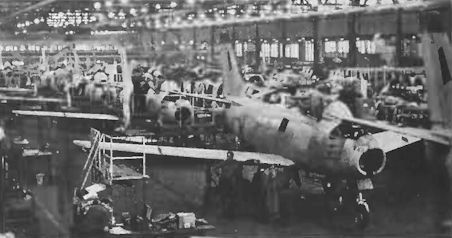 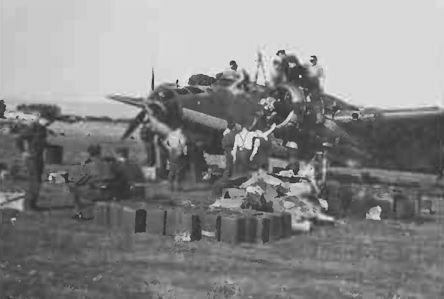 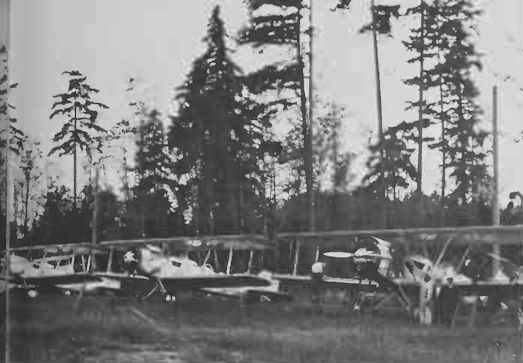 The initial production batch of CA-12s at Fishermen's Bend in 1942. 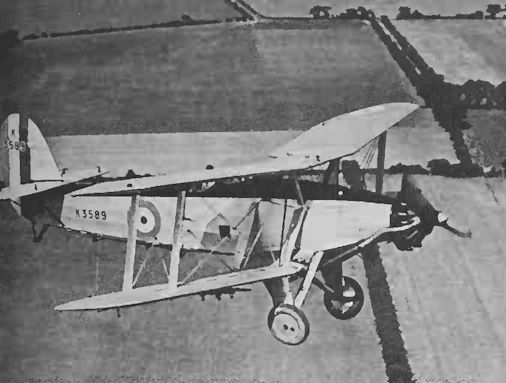 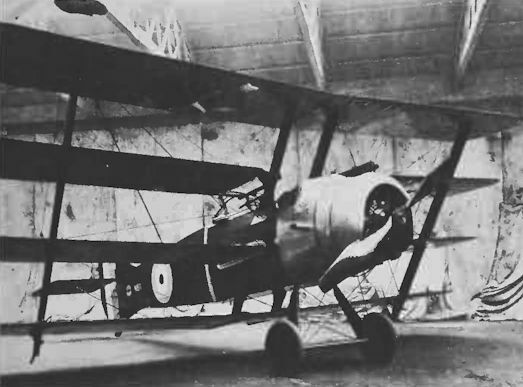 Armstrong Whitworth Siskin III with experimental low-drag cowling. 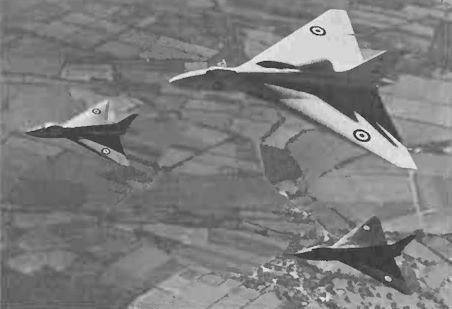 Avro 707s flying with Vulcan prototype. 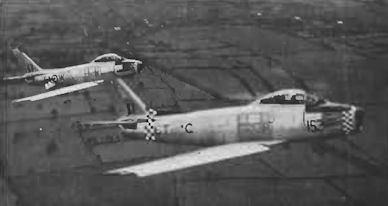 BAC (English Electric) Lightning F.2A. 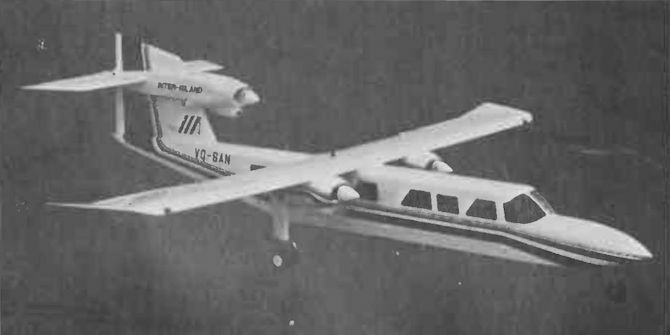 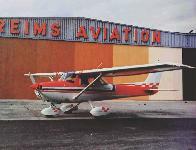 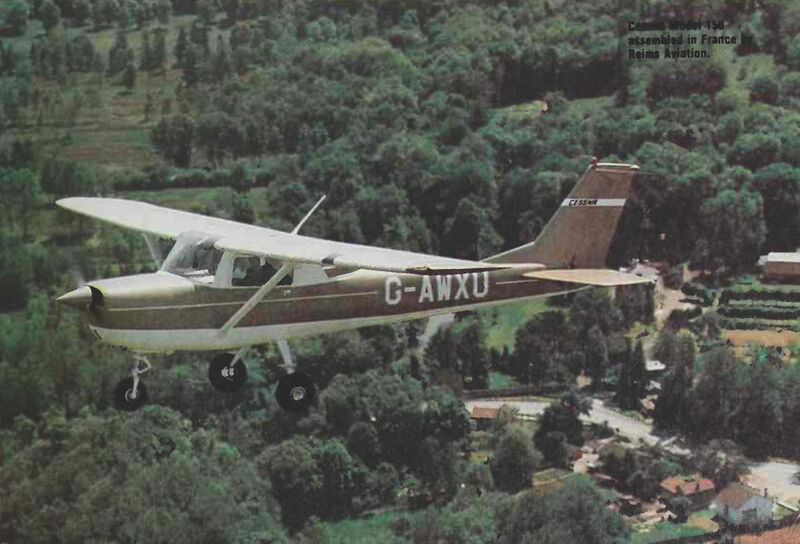 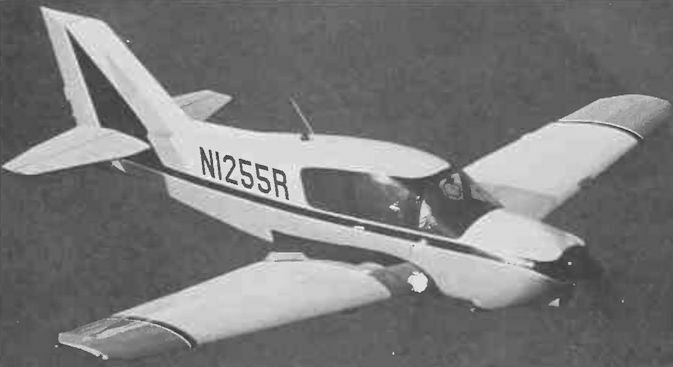 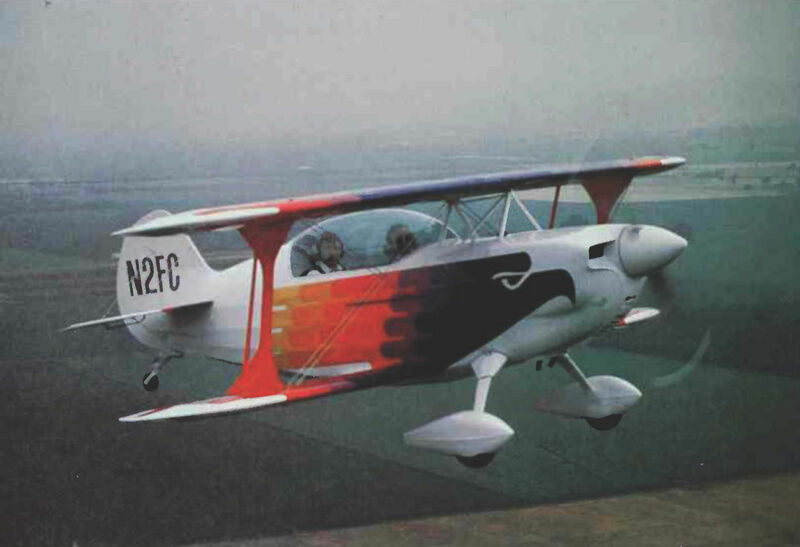 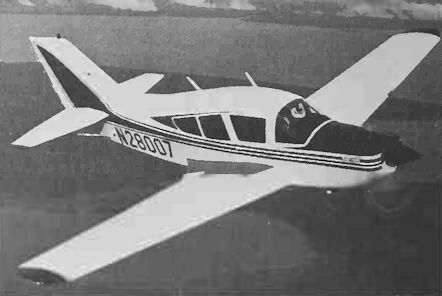 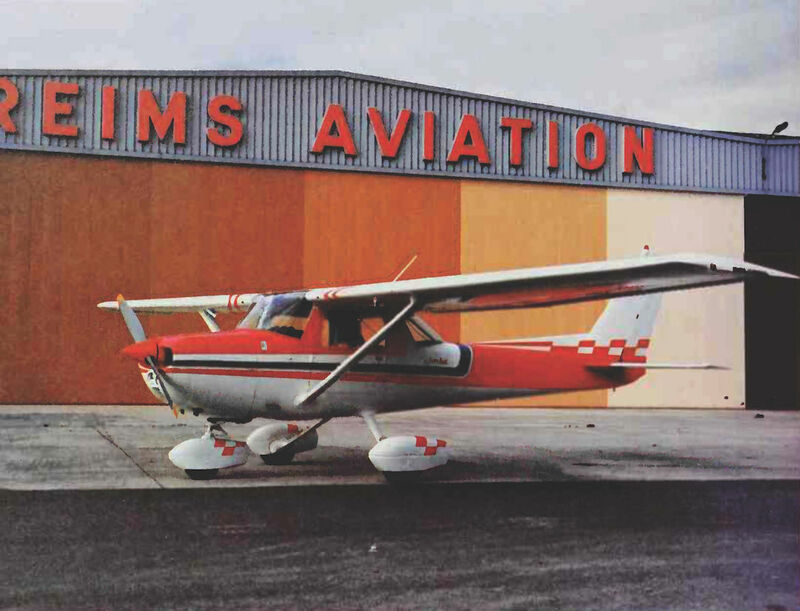 Cessna Model R172 Hawk XPII. 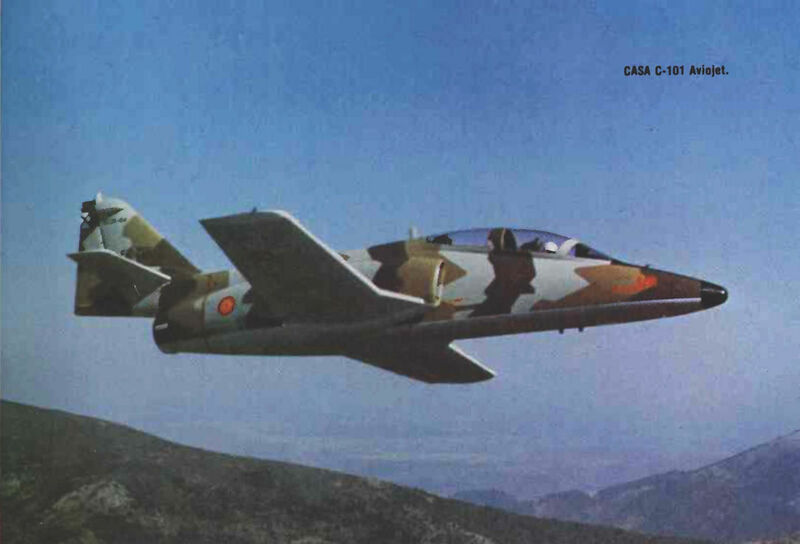 Canadair CT-114 Tutor (foreground) flies alongside a Canadair-built CF-5B. 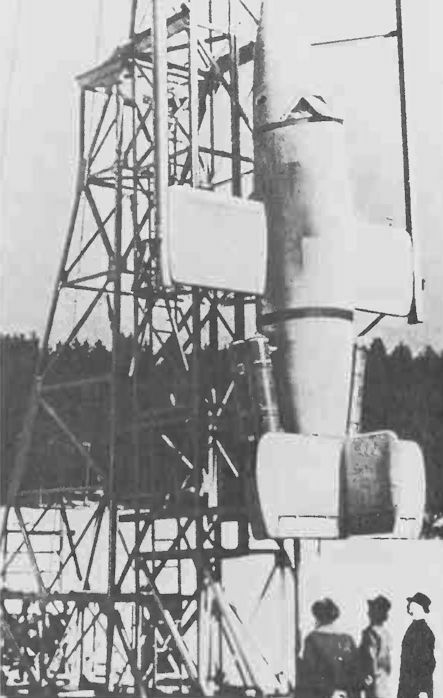 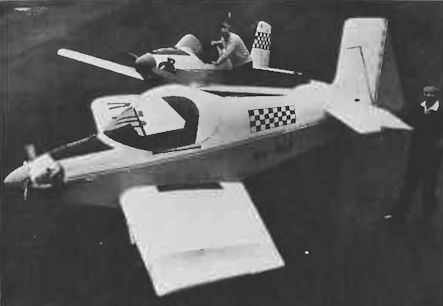 Partly completed fuselage of a BD-5 Micro. 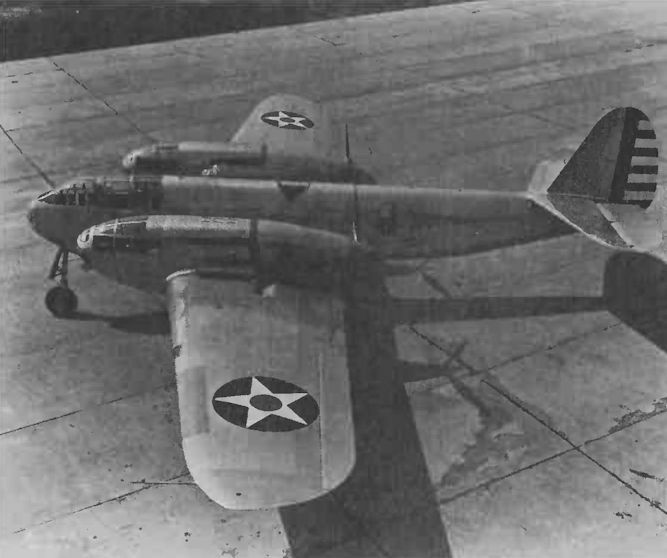 Chance Vought V-173 low-powered full-scale test version of the XF5U-1, a unique experimental heavy fighter of 1946. 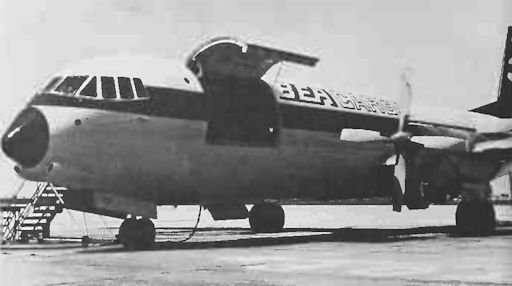 BAe (BAC) One-Eleven Series 320. 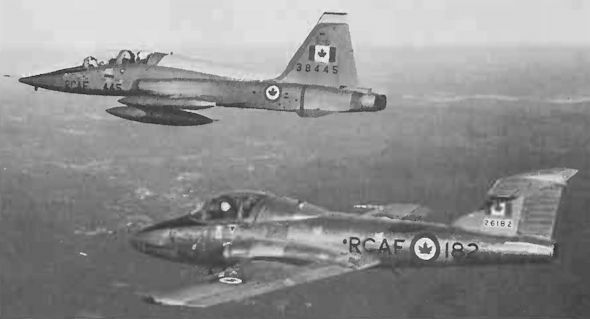 Canadian Avro CF-100 Mk 5D. 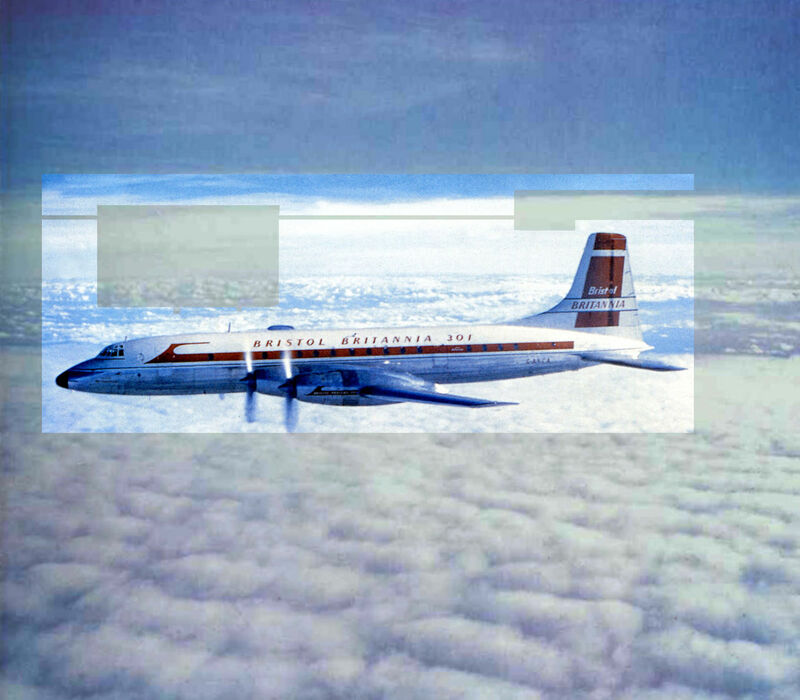 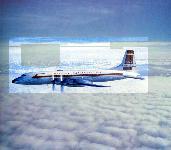 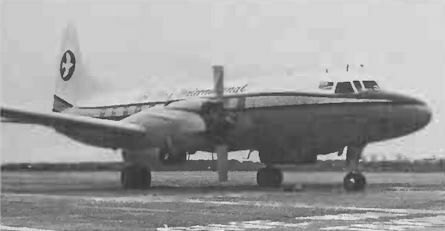 Trans-Canada Air Lines Canadair North Star. 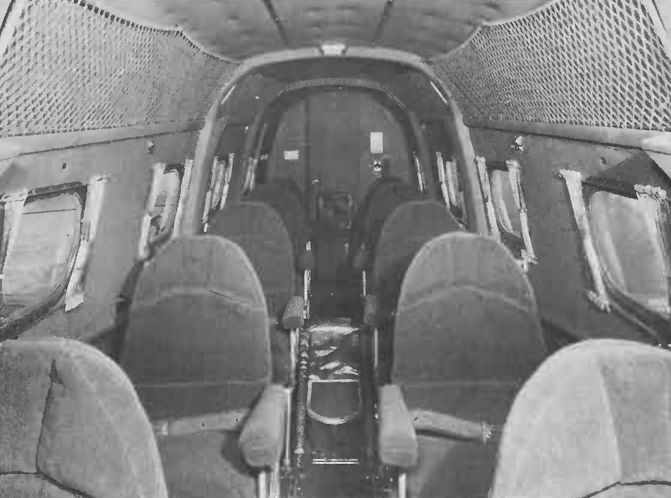 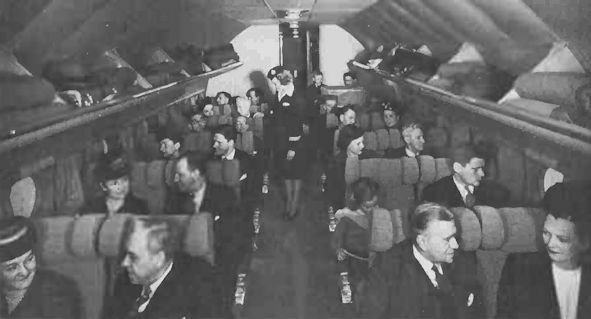 Interior of a Canadair North Star. 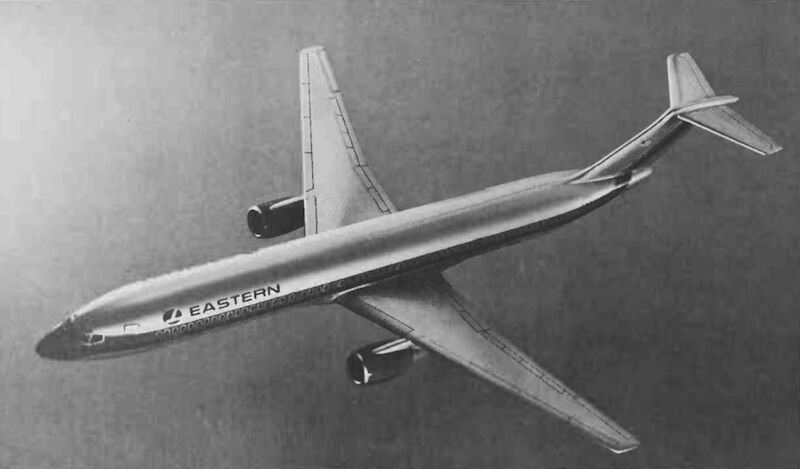 Artist’s impression of the Boeing Model 757. Boulton Paul Sea Balliol T.21. 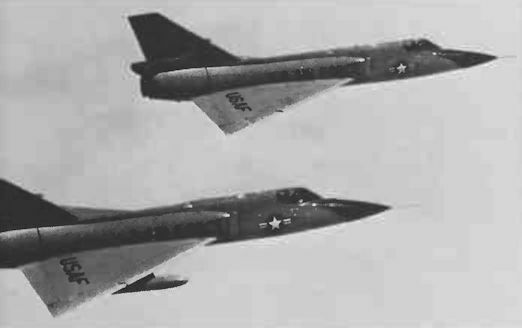 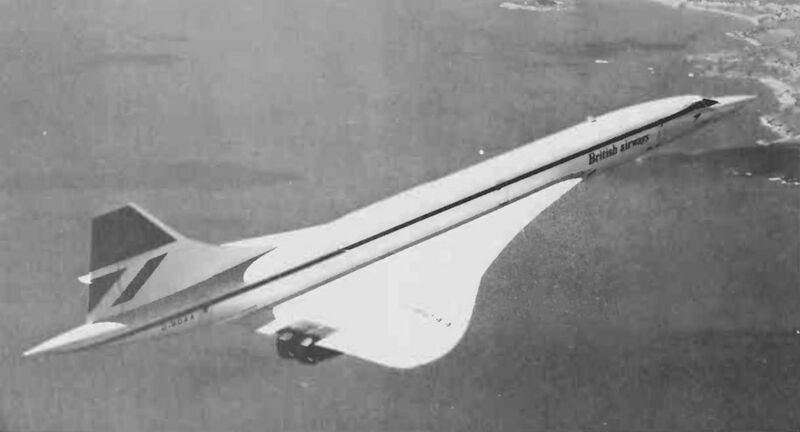 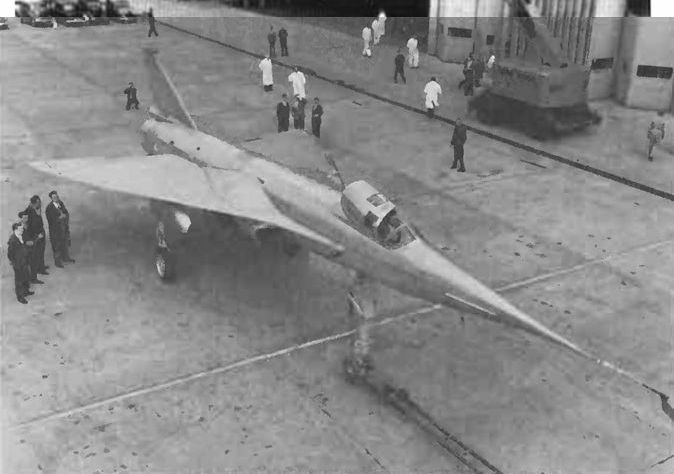 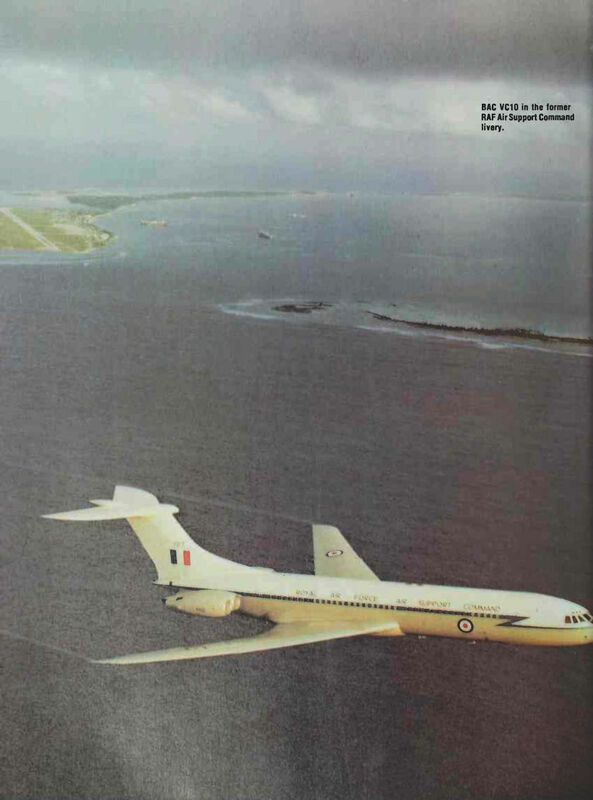 During the summer of 1959, the first of the two Fairey FD.2 high speed research deltas, WD 774, was singled out for major modification to help with the high speed phase of Concorde wing development. 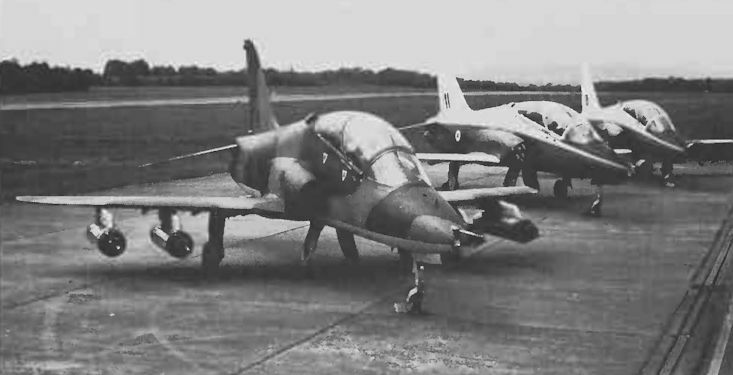 Transferred from the RAE, Bedford to BAC's Filton facility, WD 774 underwent major surgery, to emerge four and a half years later as the BAC 221, as seen here at its roll-out. 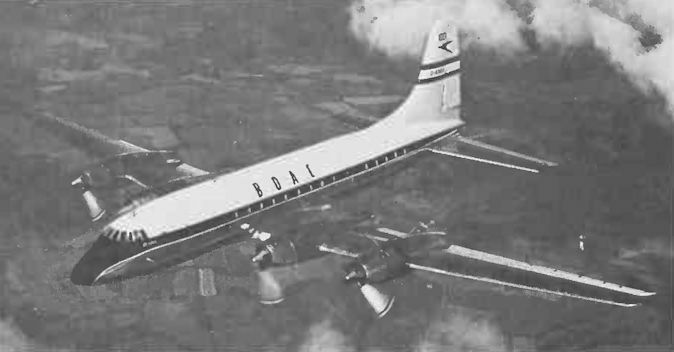 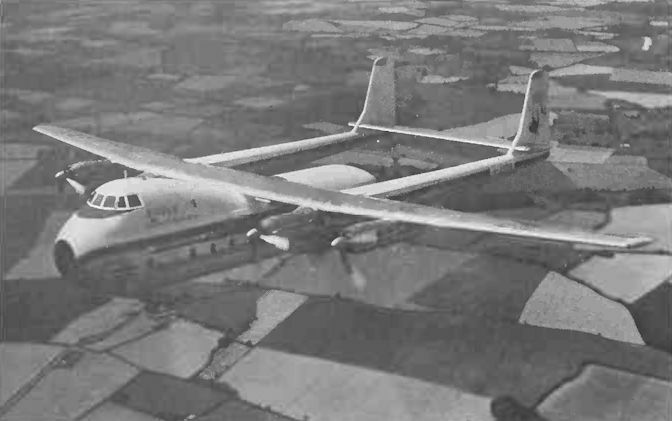 First flown in this guise with its new ogival wing on 1 May 1964, this machine returned to RAE, Bedford in May 1966, from where it continued to fly for the next eight and a half years. 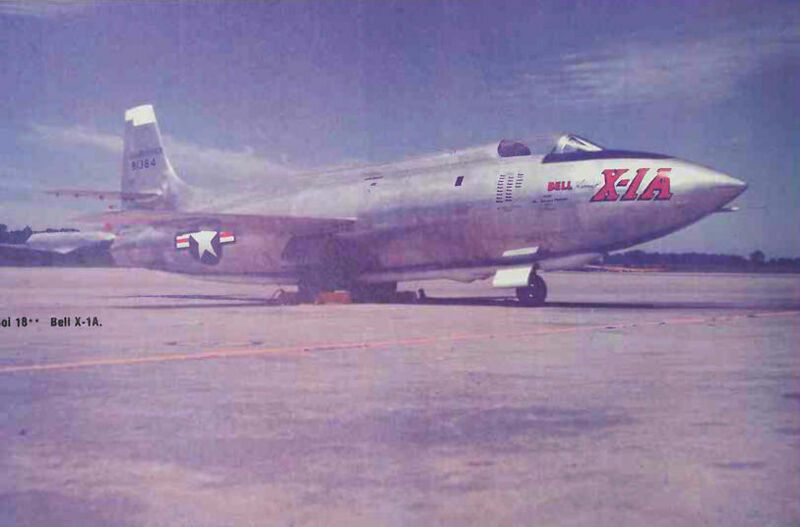 The two second generation Bell X-1s photographed at Edwards AFB Flight Test Centre. 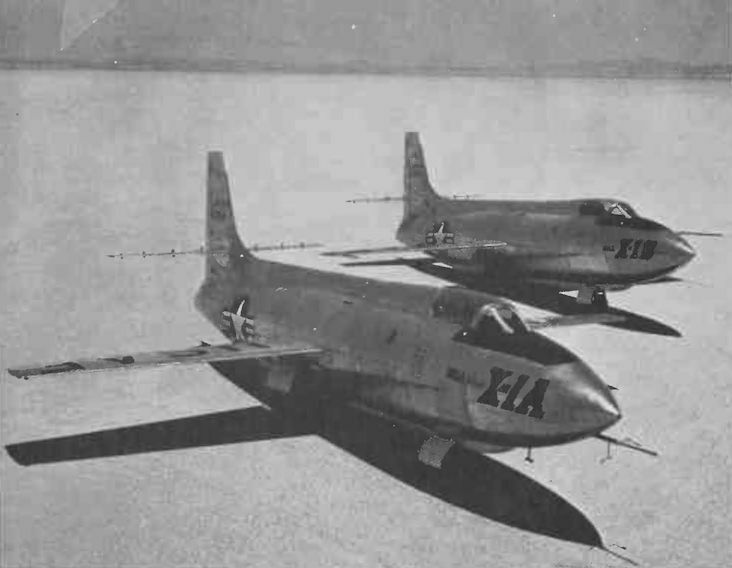 Overshadowed by their famous precursor, these two aircraft were to do so much in pushing outwards and upwards the boundaries of speed and altitude during the early half of the 1950s.Three of these X-1s had been built, the X-1A, the X-1B and the X-1D, the X-1C project never having materialised. 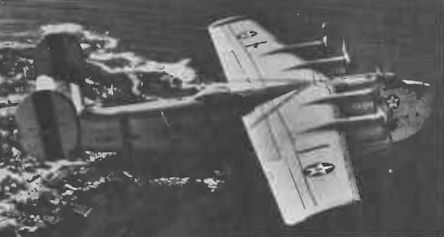 By chance, the first of this trio to fly was the X-1D, on 24 July 1951, but its life was brief, ending just under a month later, on 22 August, when it was destroyed following an in-flight explosion. 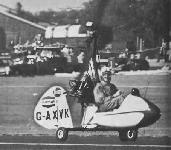 Happily, its pilot. 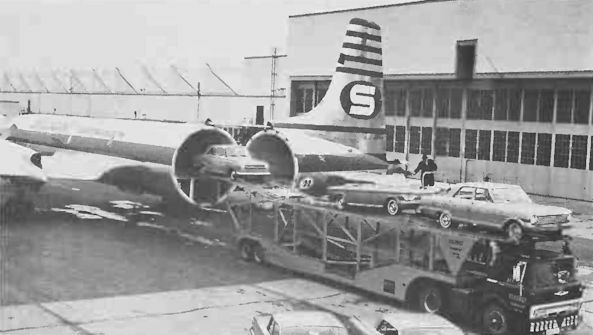 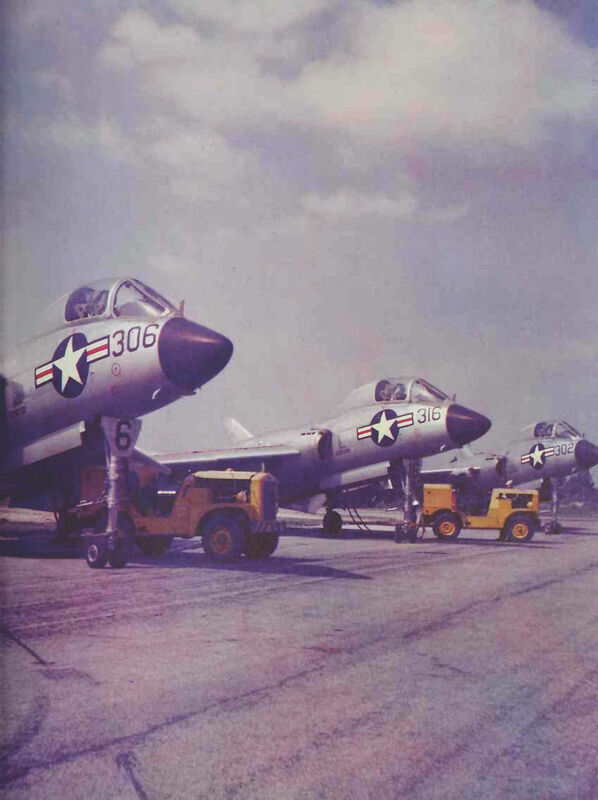 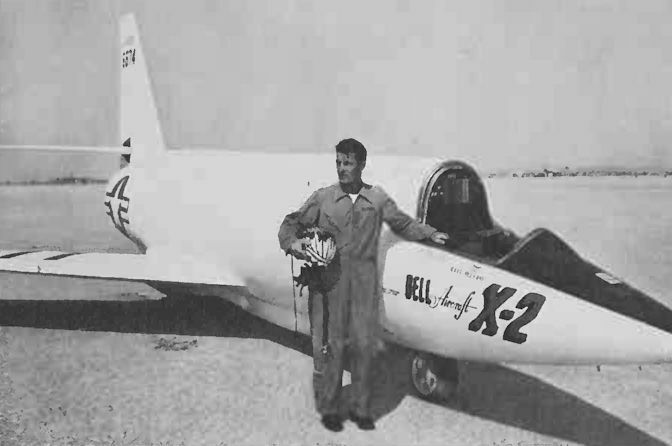 Lt. Col. Frank Everest had time to scramble back aboard the EB-50 prior to the X-1D's release. 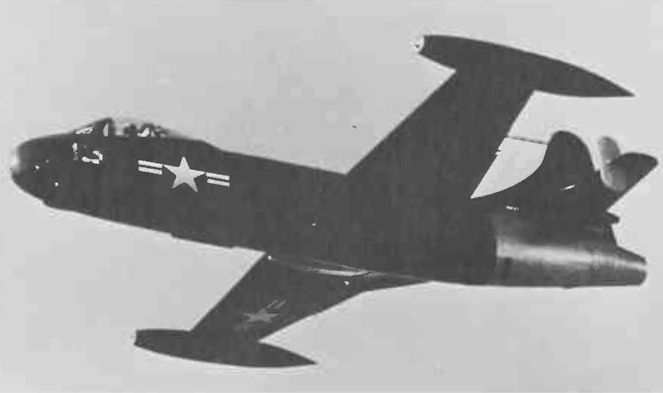 For its part, the X-1A, 48.1384, went on to reach a maximum speed of Mach 2.44, or 1.650 mph on 12 December 1953 and climbed to 90,440 feet on 26 August 1954. Like the X-1D before it, the X-1A was ultimately to be jettisoned by its mother, on 8 August 1955, following a similar onboard explosion, the cause of which was eventually pinpointed, extraordinarily enough, as a chemical reaction between the liquid oxygen and Ulmer leather strapping used within the rocket fuel system. 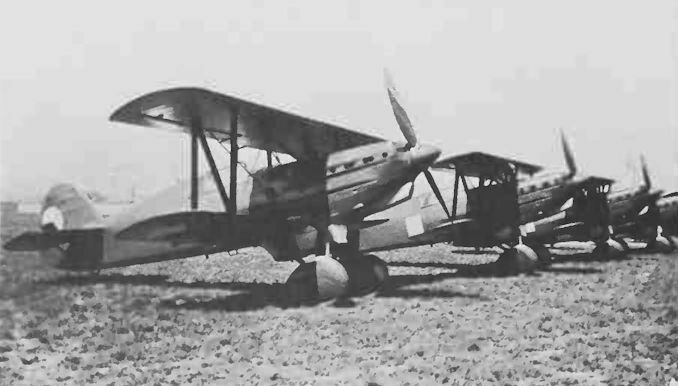 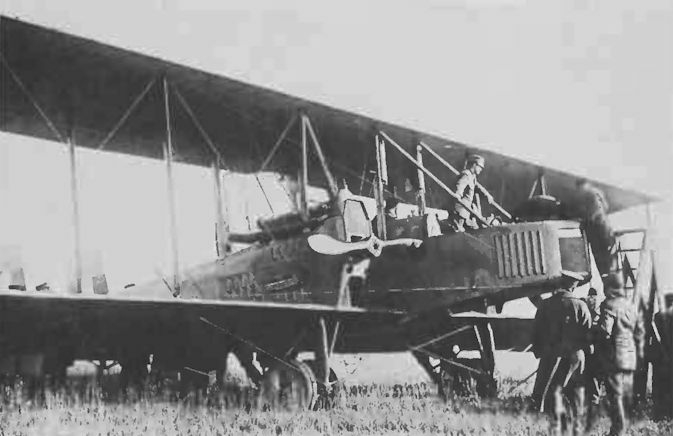 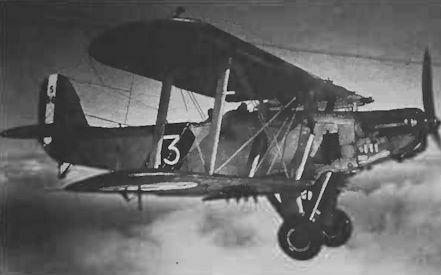 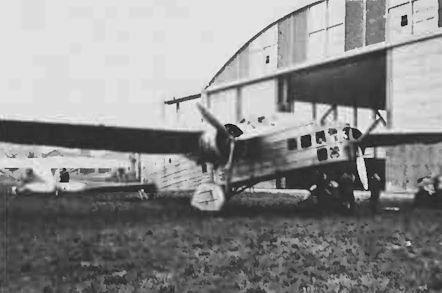 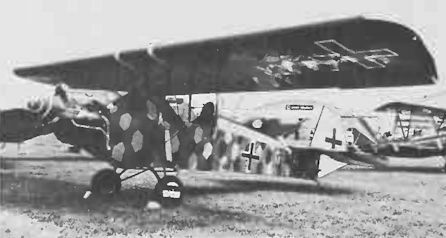 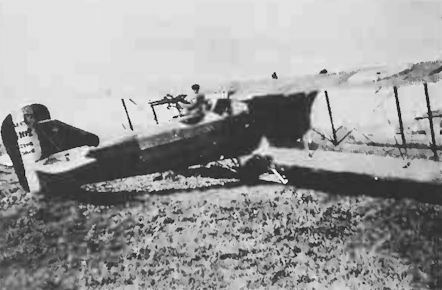 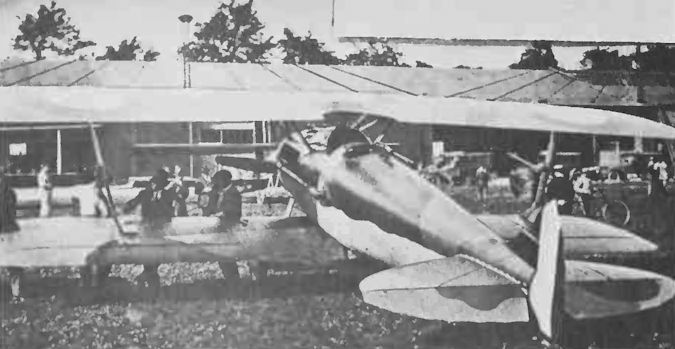 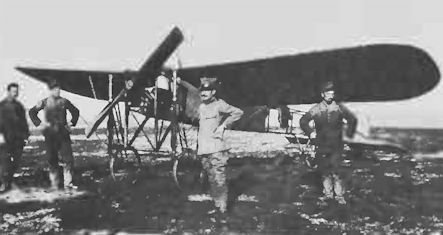 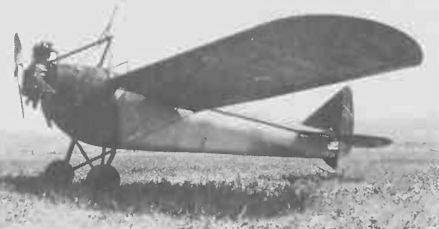 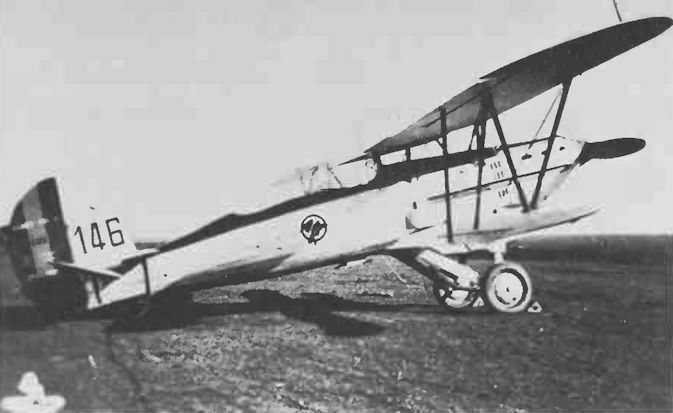 Caproni Ca 135bis in Hungarian service. 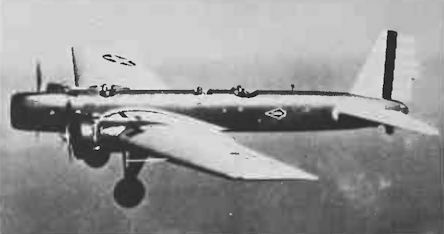 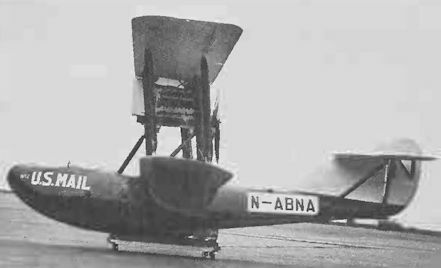 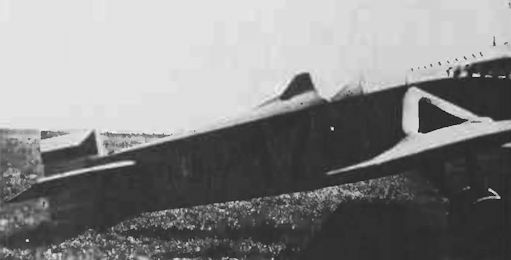 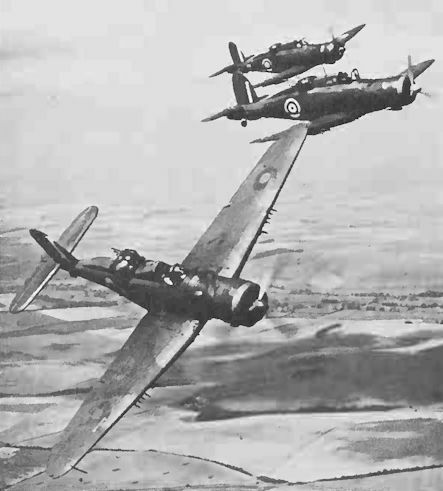 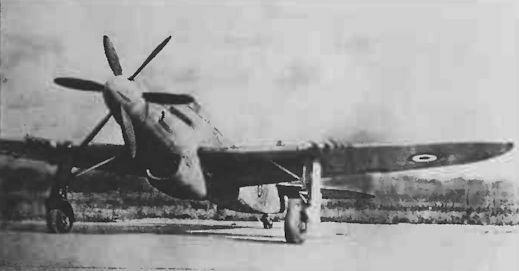 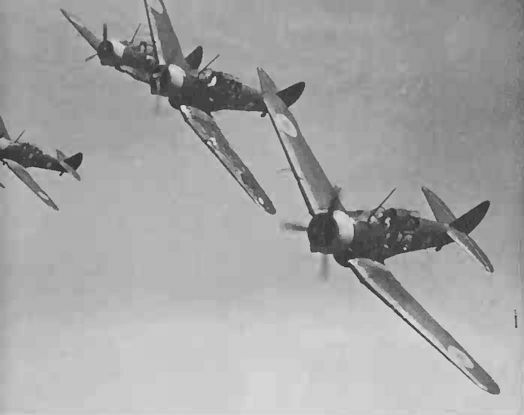 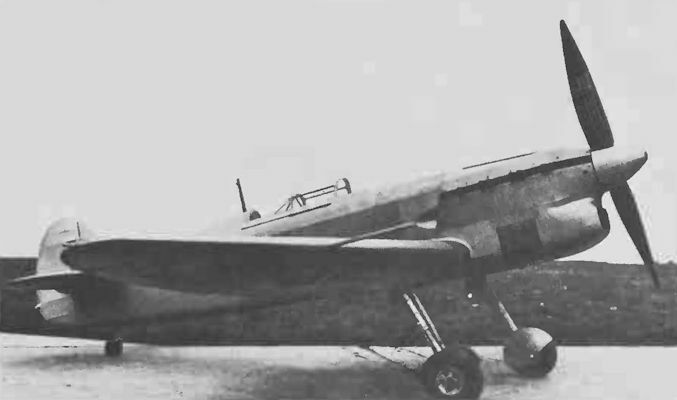 Two-seat Breda Ba 65 with a 7.7 mm gun in a large dorsal turret. 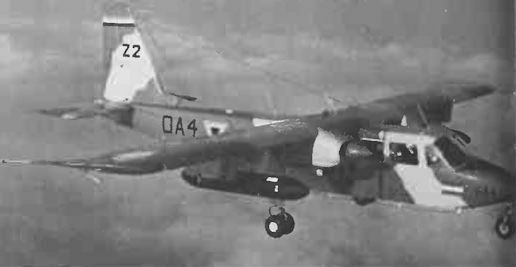 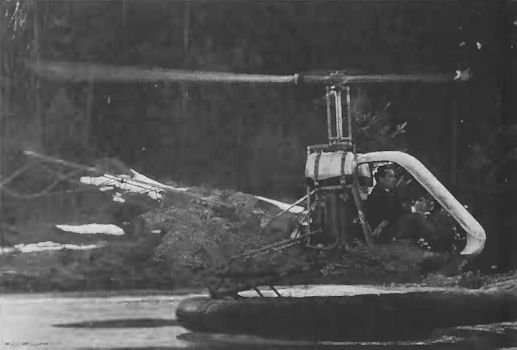 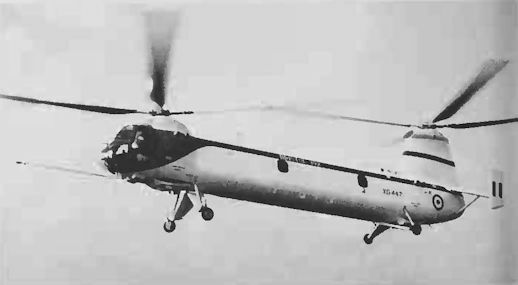 Two-seat Breda Ba 65 bis with a 12.7 mm gun in a hydraulically operated dorsal turret. 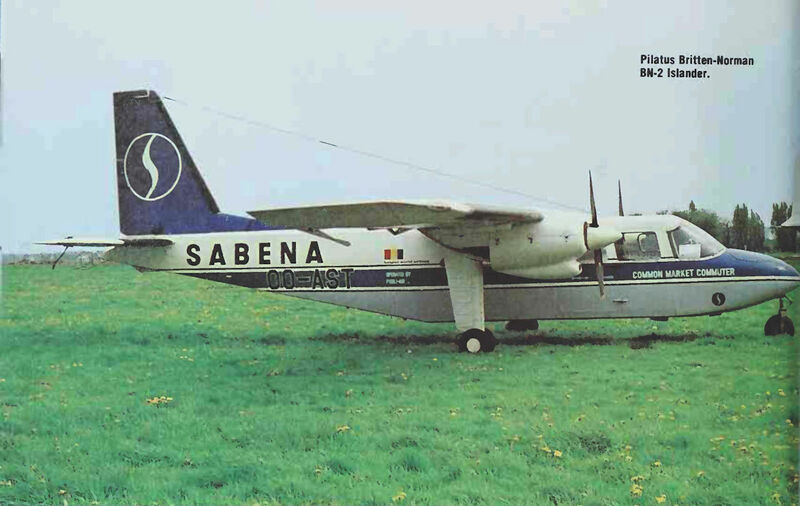 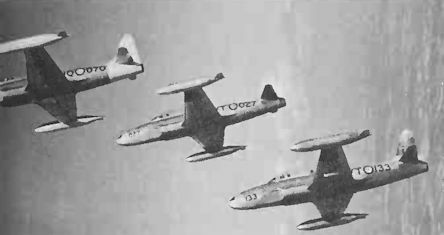 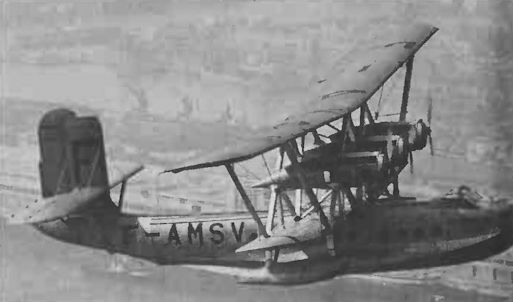 Portuguese Shark seaplane carrying six bombs underwing. 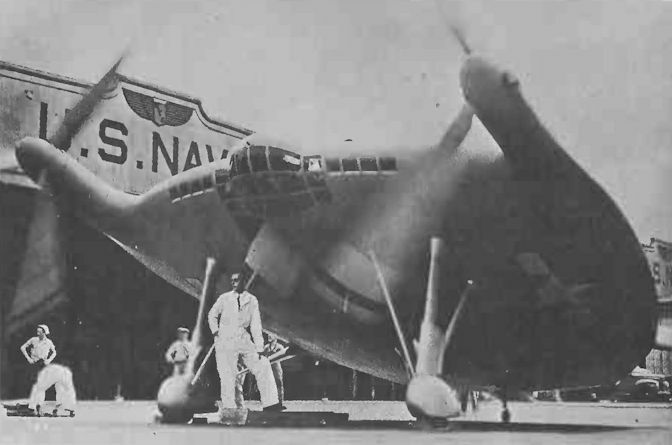 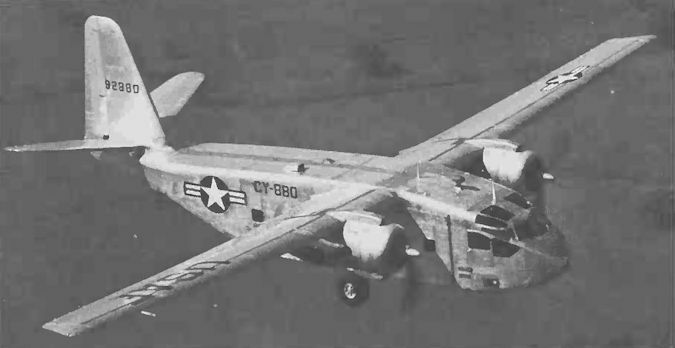 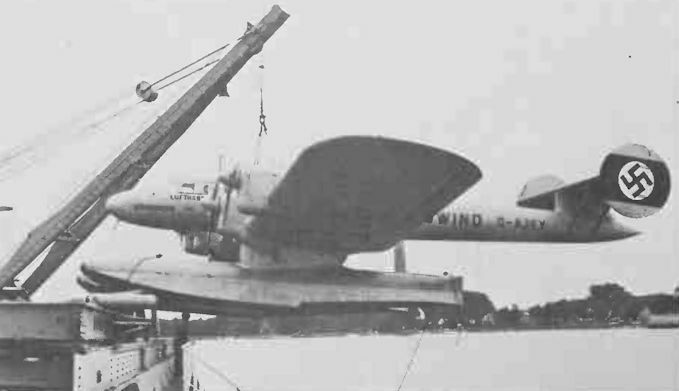 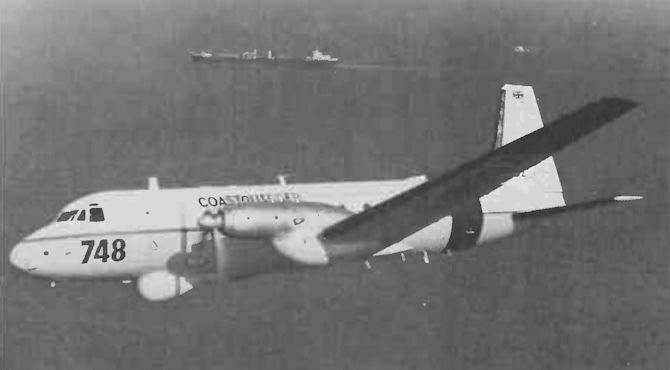 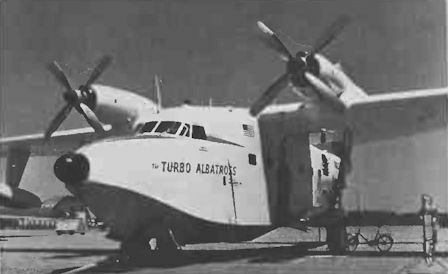 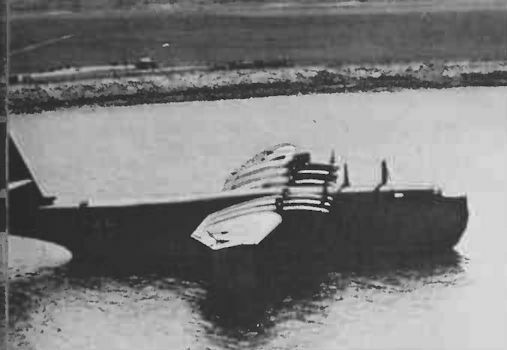 Transport version of the Consolidated PB2Y Coronado with guns removed. 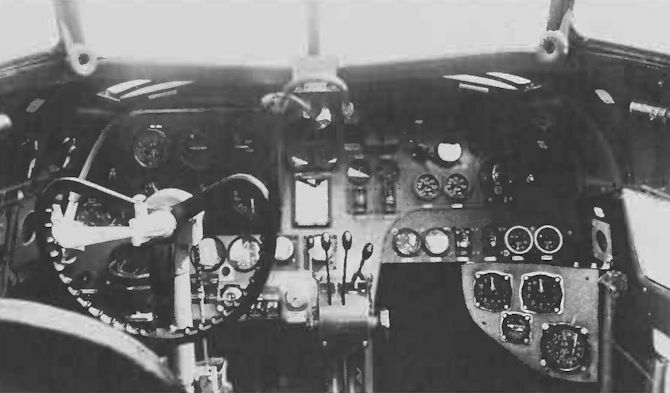 Production Breguet 521 Bizerte with ‘glasshouse’ cockpit extension. 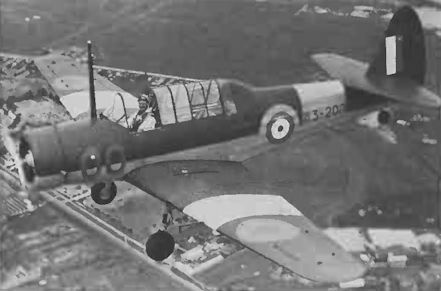 Breguet 521 Bizerte prototype, with open nose-gunner’s position. 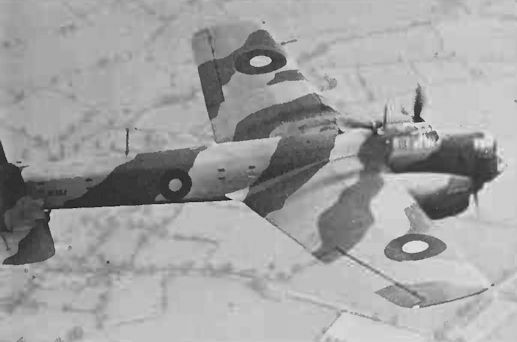 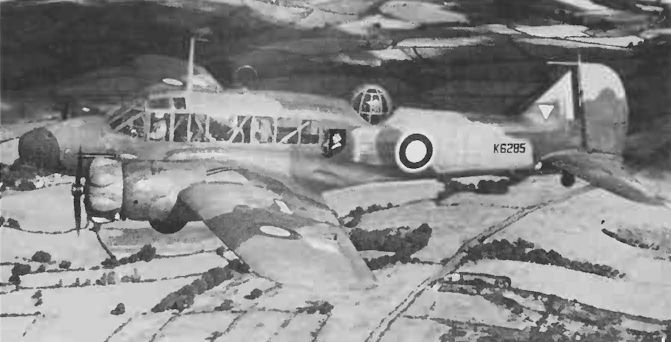 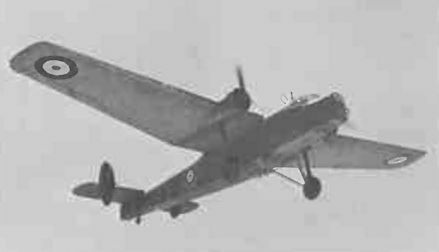 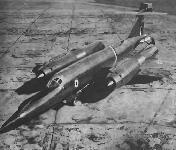 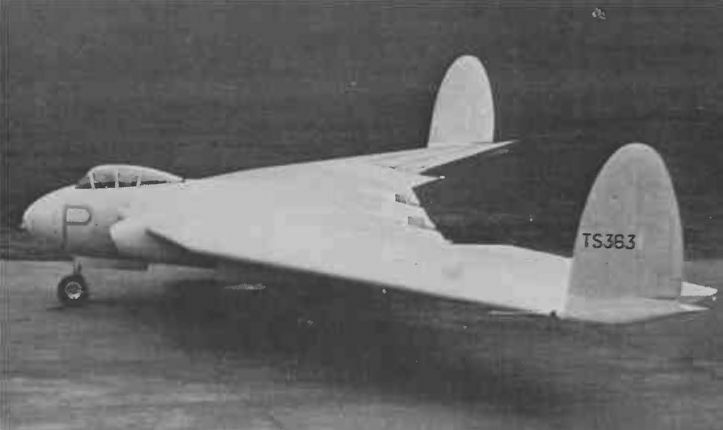 Armstrong Whitworth Albemarle prototype configured as a reconnaissance bomber. 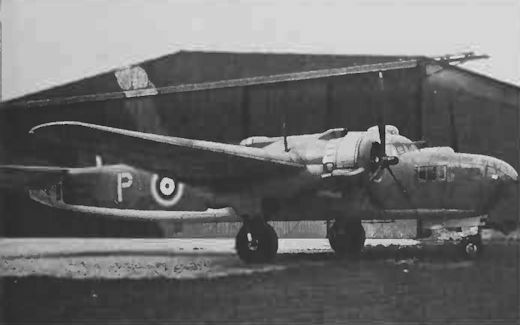 Armstrong Whitworth Albemarle II troop carrier. 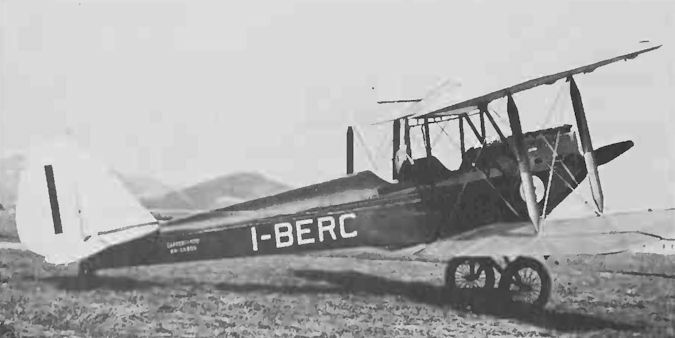 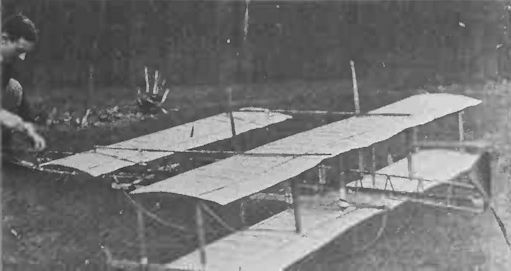 The Caproni 113 two-seat advanced or aerobatic trainer was normally powered by the 240 h.p. 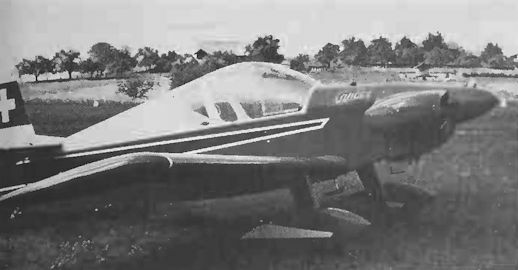 Walter Castor radial engine, but the example shown here is an extensively modified version on which Renato Donati captured the world’s altitude record in 1934 by flying to 47,360 ft. 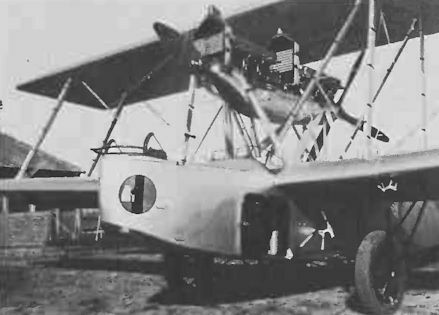 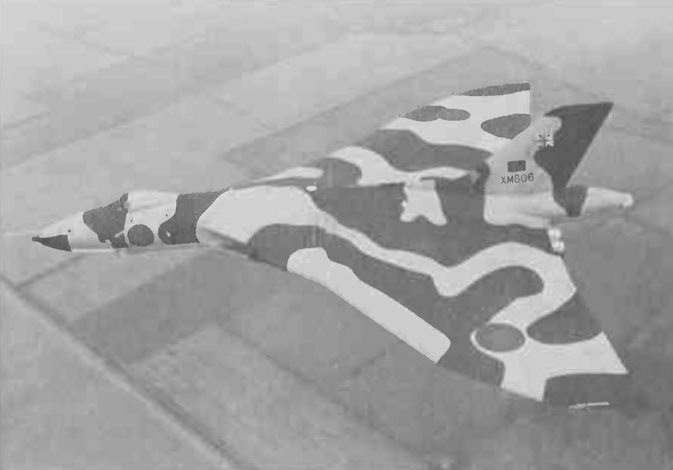 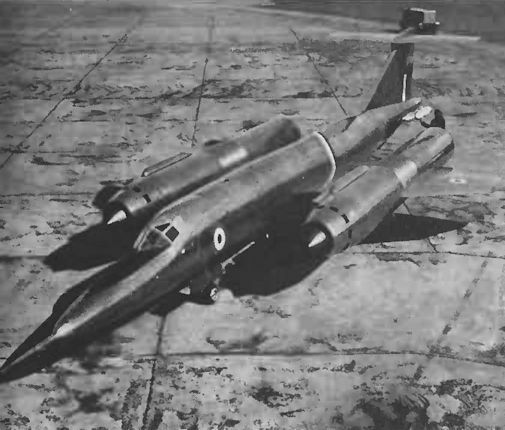 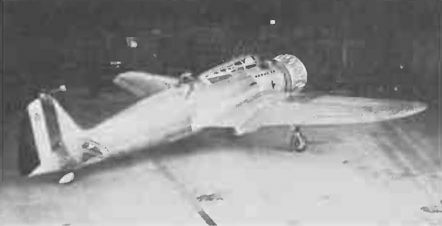 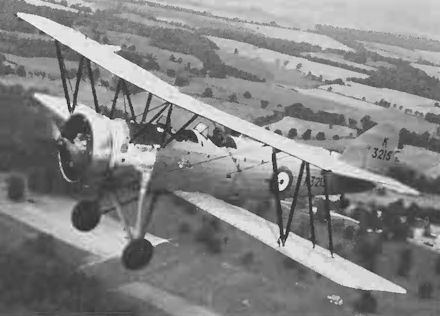 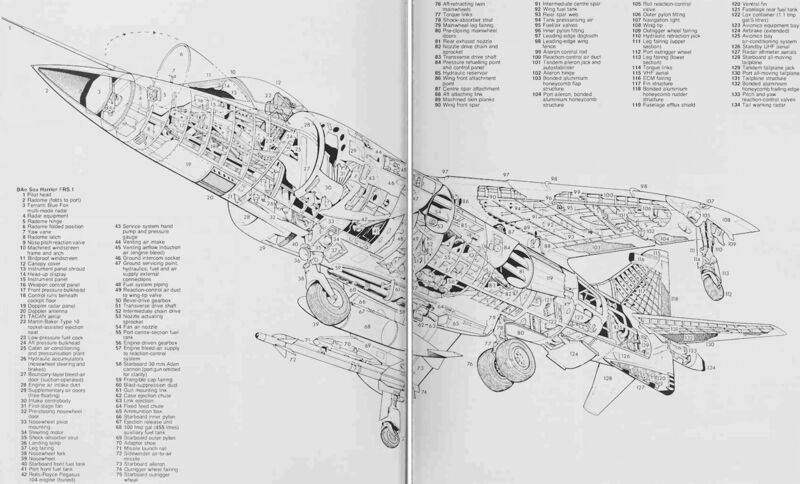 Modifications included the covering of the forward cockpit, the substitution of long-span two-bay wings for the original single-bay units, revised undercarriage, extended rear fuselage, and the installation of a 600 h.p. 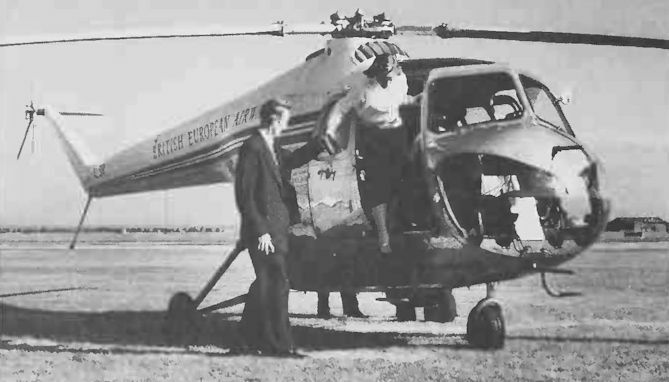 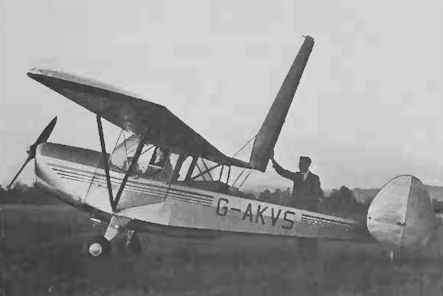 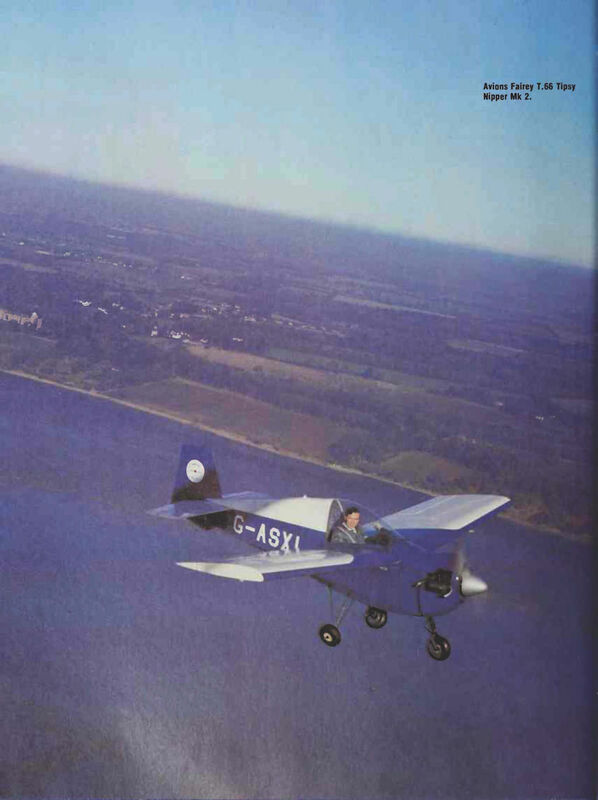 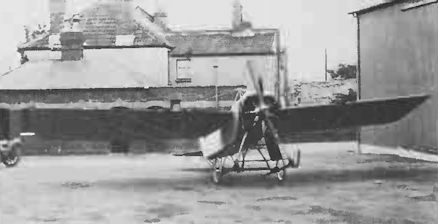 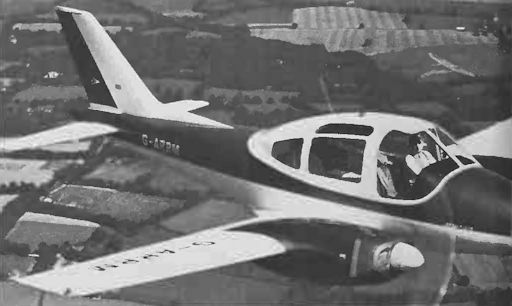 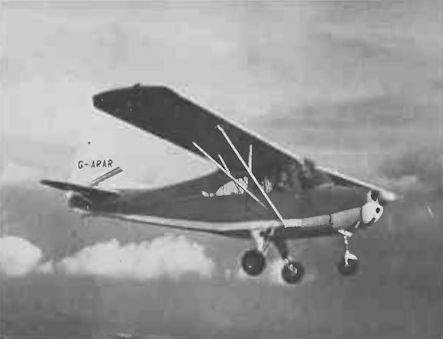 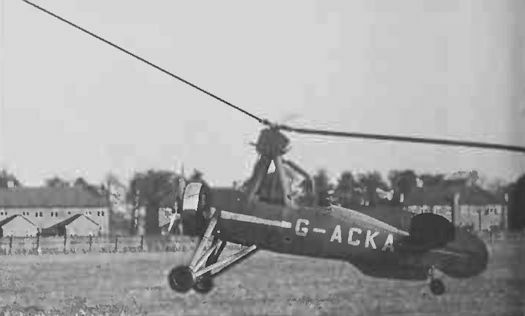 Bristol Pegasus radial driving an enormouse four-blade, variable pitch propeller. 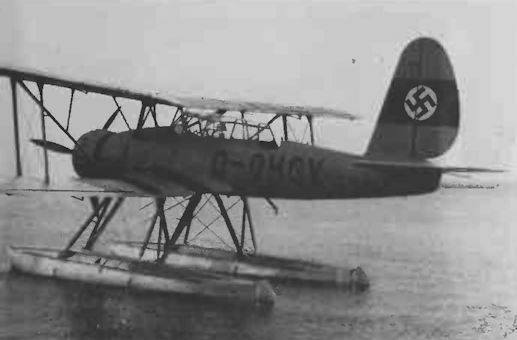 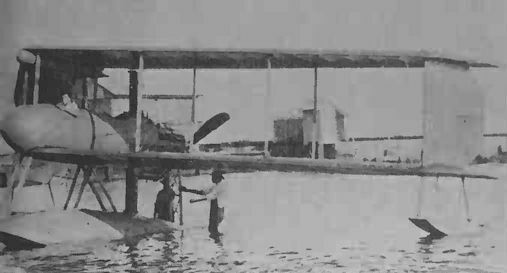 Bellanca Model 77-140 Bomber seaplane. 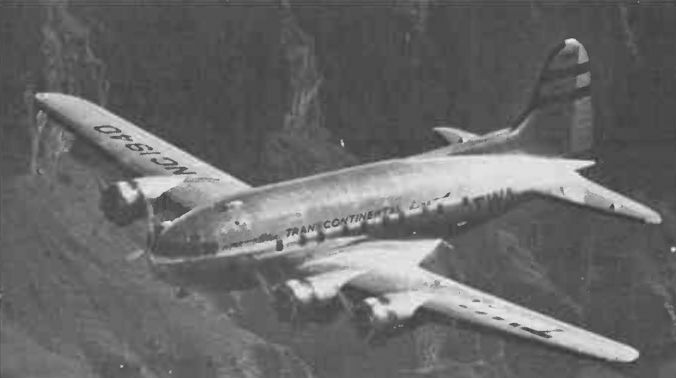 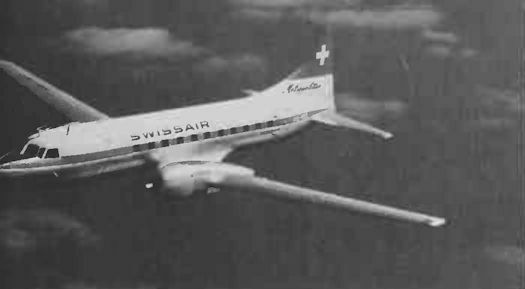 Boeing Model SA-307B Stratoliner in Transcontinental & Western Air livery. 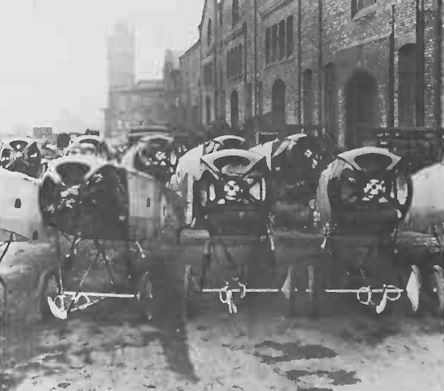 Bell Model 30s, in original and developed forms. 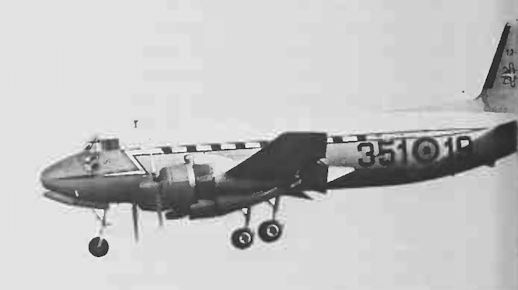 Avro 696 Shackleton MR.3s in SAAF markings. 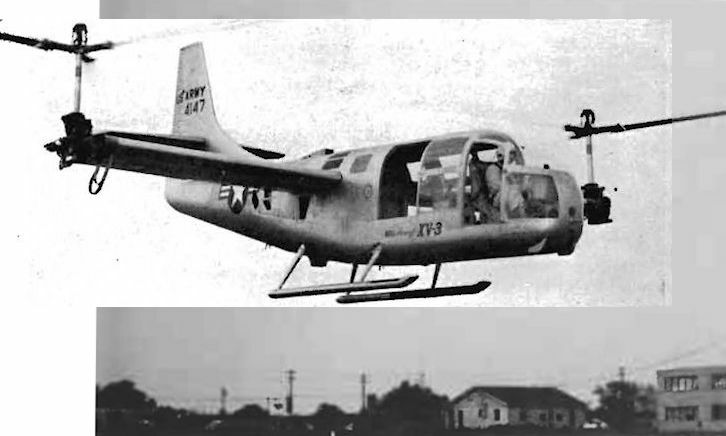 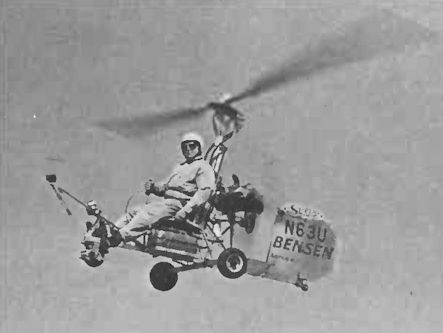 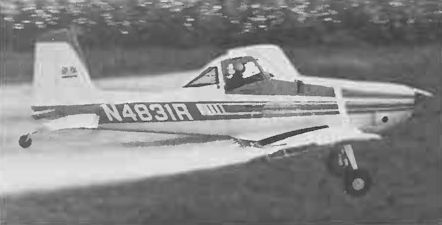 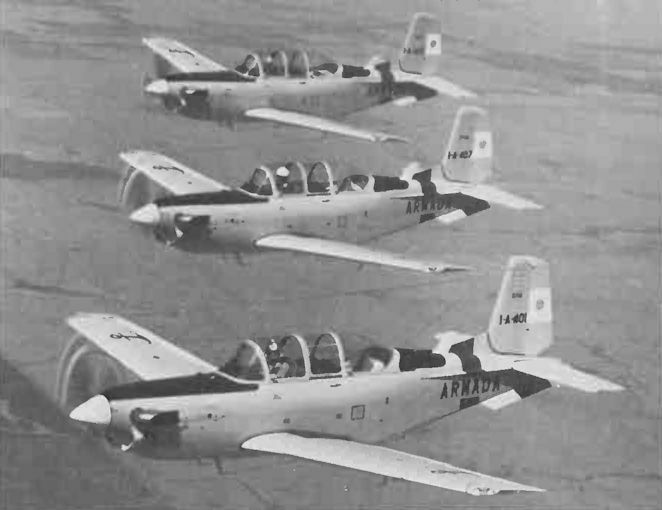 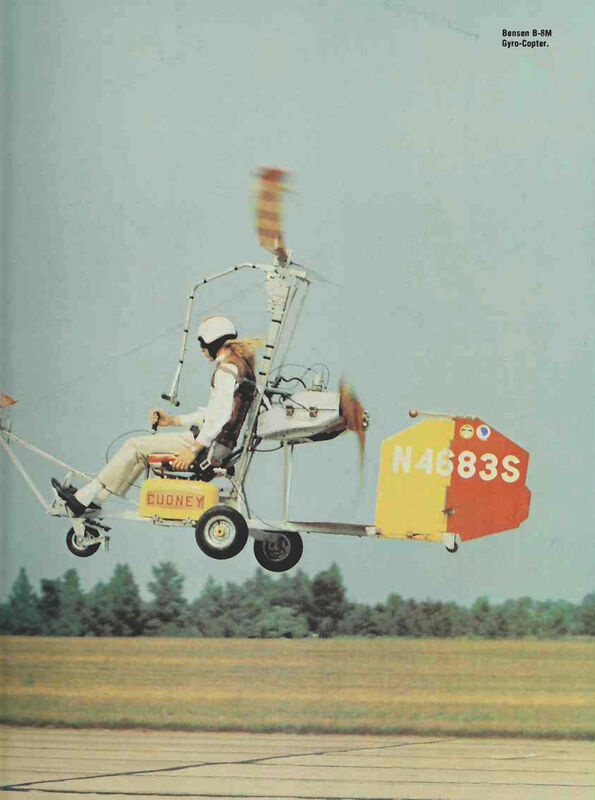 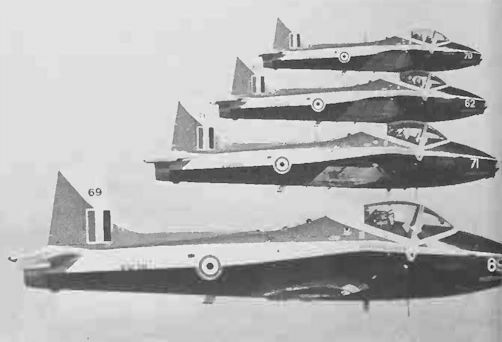 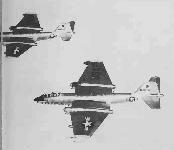 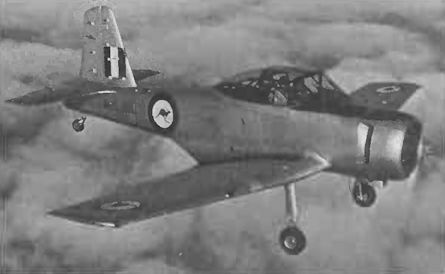 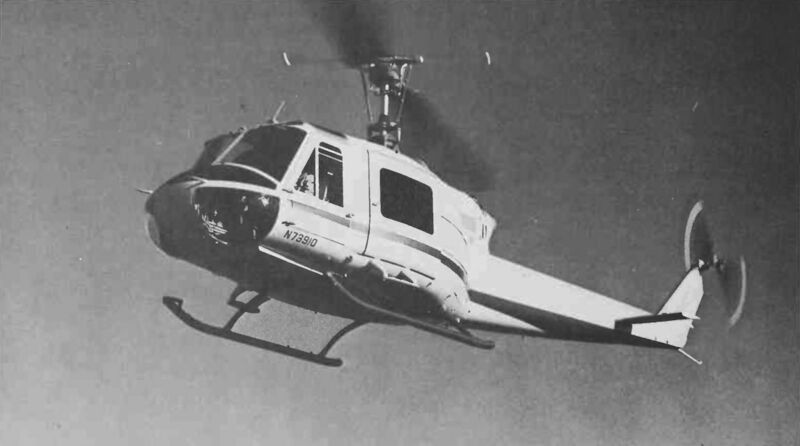 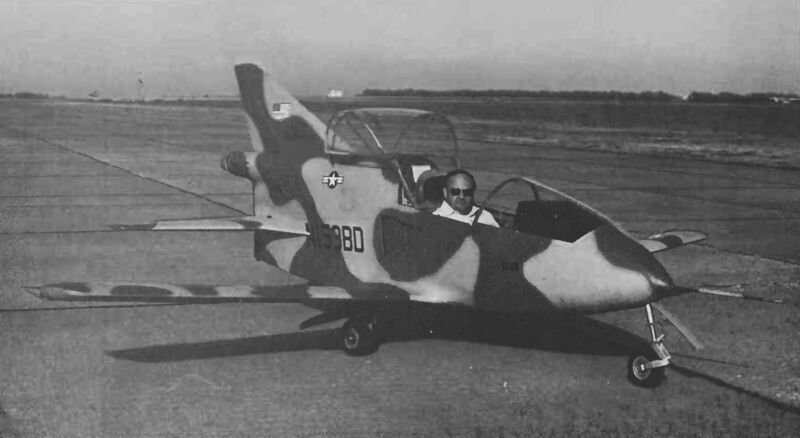 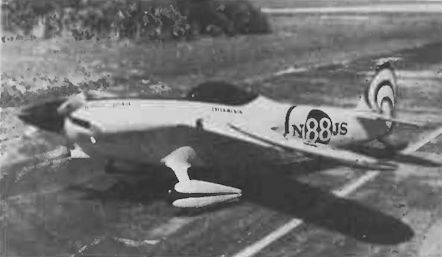 The Bell XV-3 convertiplane has made many flights with the twin rotors in the upright position but has yet to convert them for forward flight. 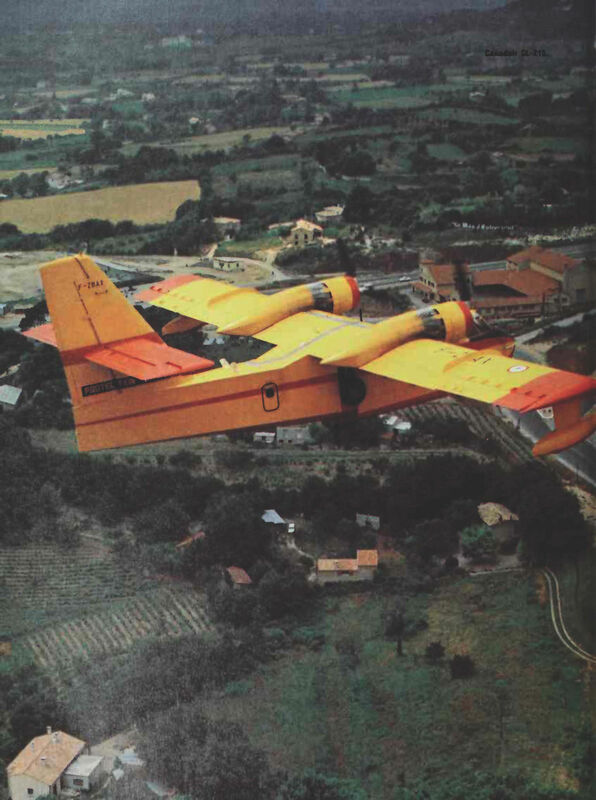 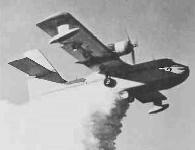 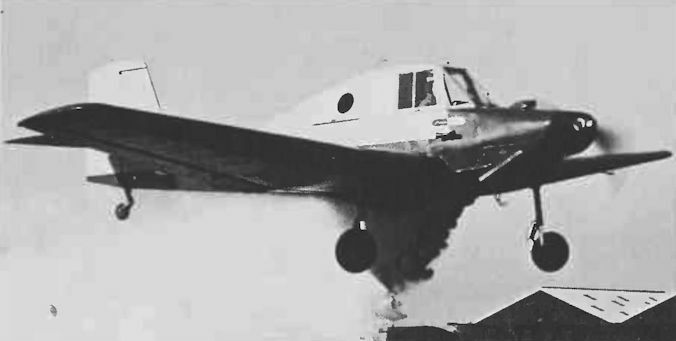 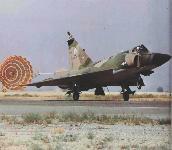 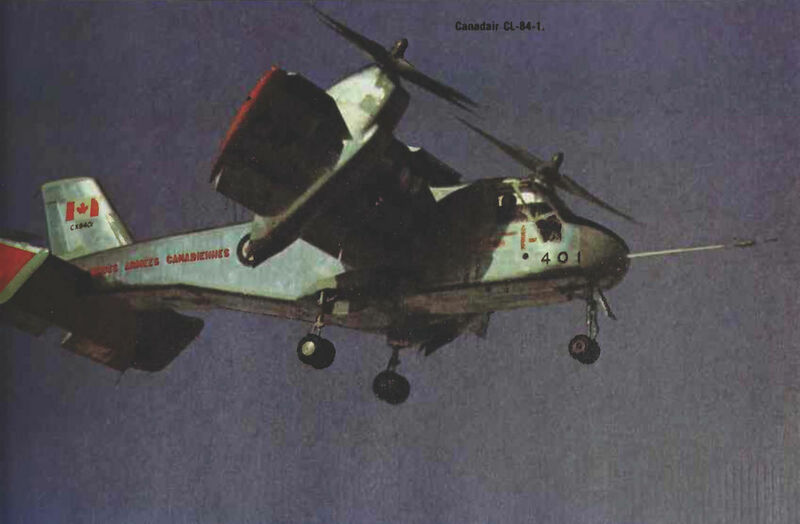 Canadair CL-44 with tail swing open. 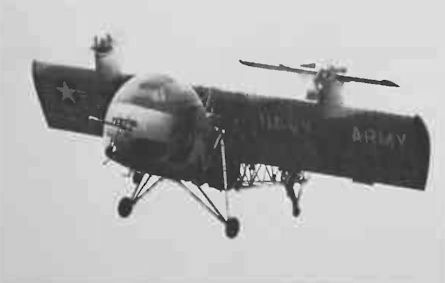 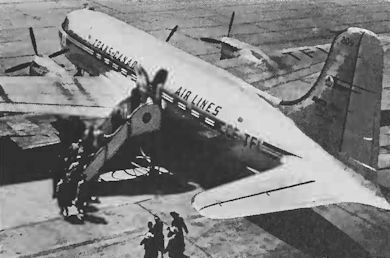 Авиакомпания "Japan Air Lines" приобрела свой первый 880 в 1962 году, а всего она имела в своем парке восемь таких машин (три из которых были списаны в ходе обучения). 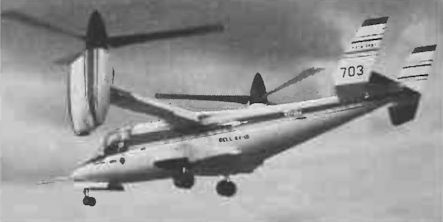 Последний японский 880-й был снят с эксплуатации в 1970 году. 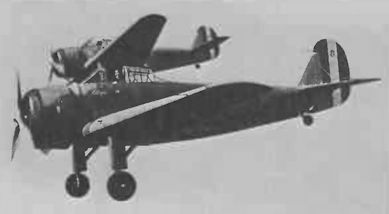 Blohm und Voss Bv 141. 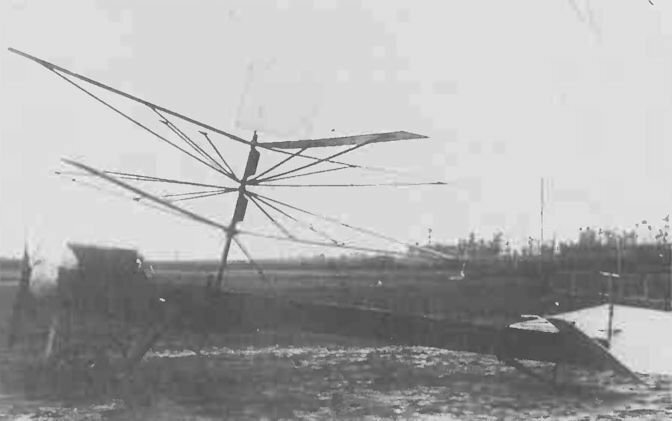 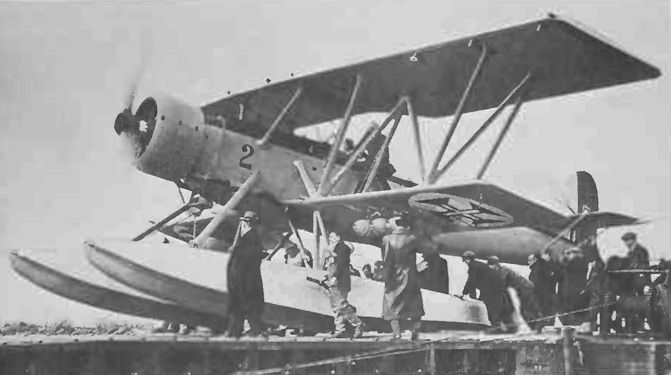 Avro Type D undergoing trials as a seaplane. 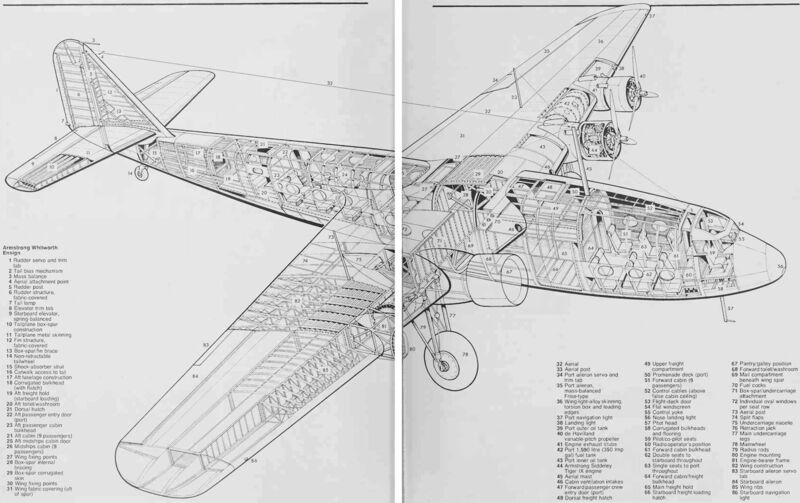 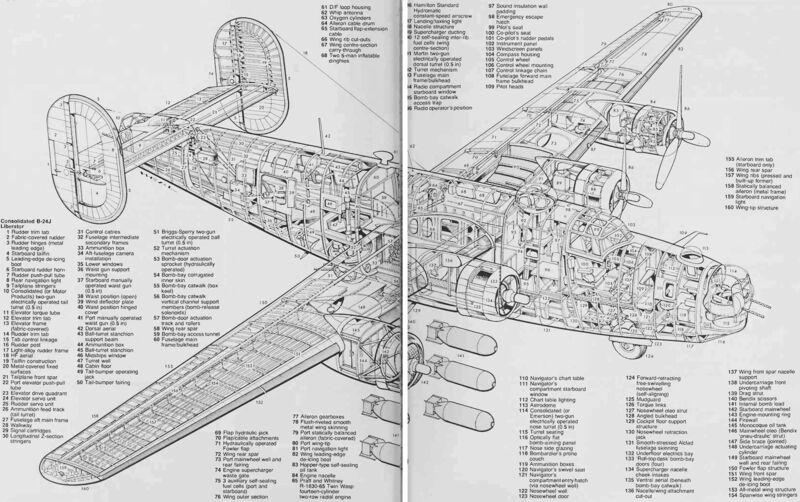 Drawing of the Avro Type F.
Cessna Model 421 Golden Eagle II. 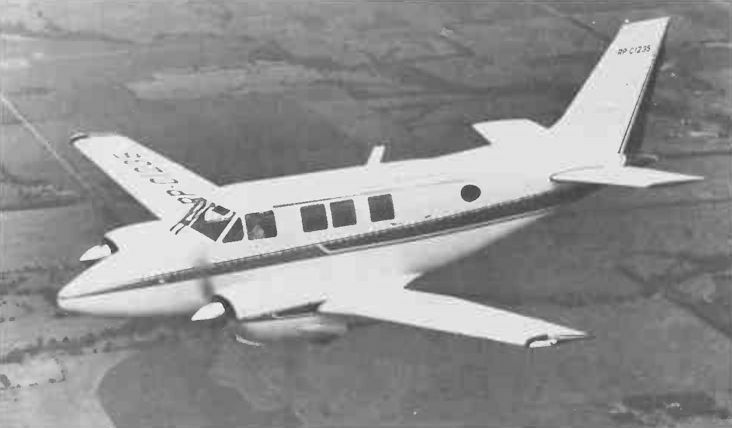 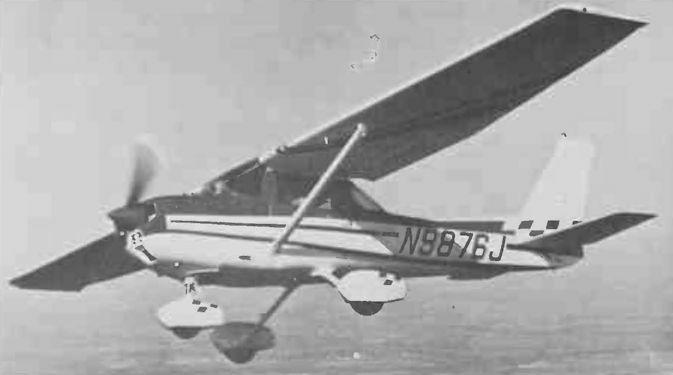 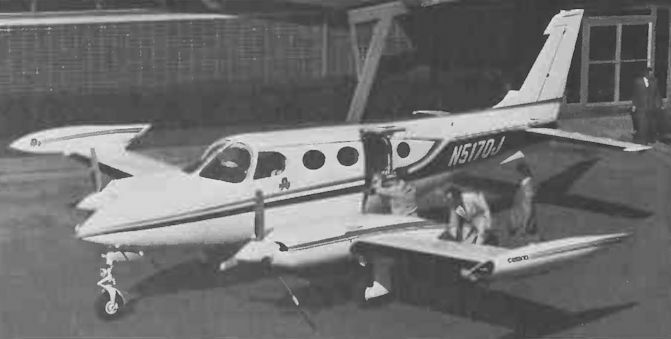 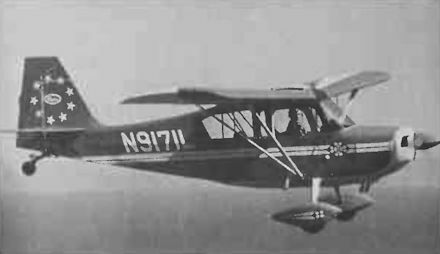 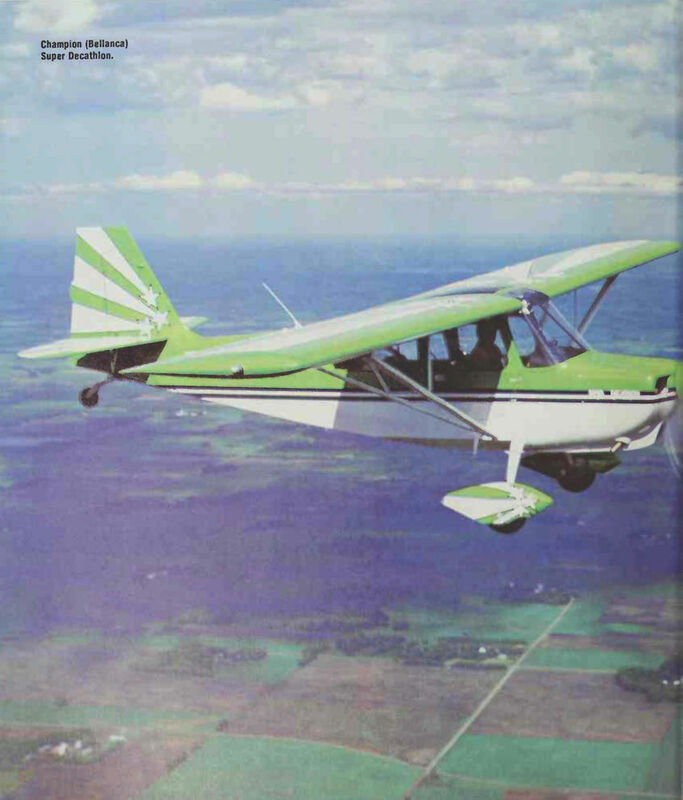 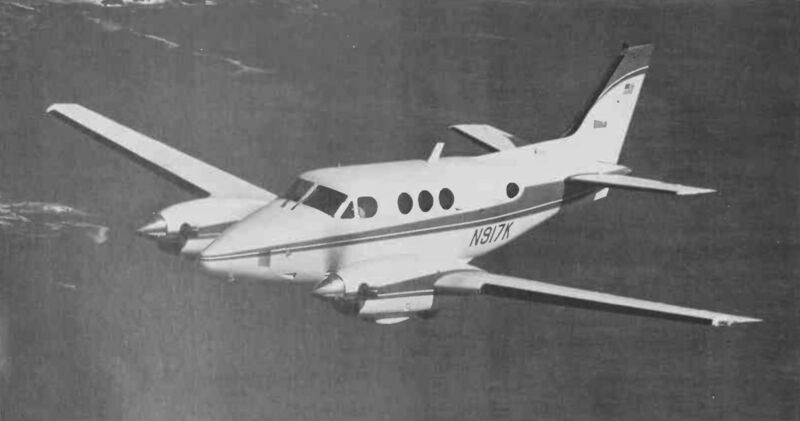 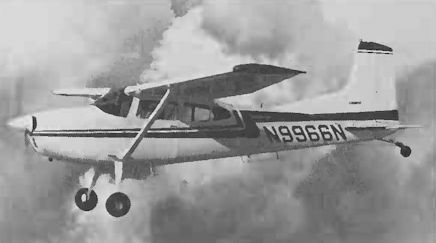 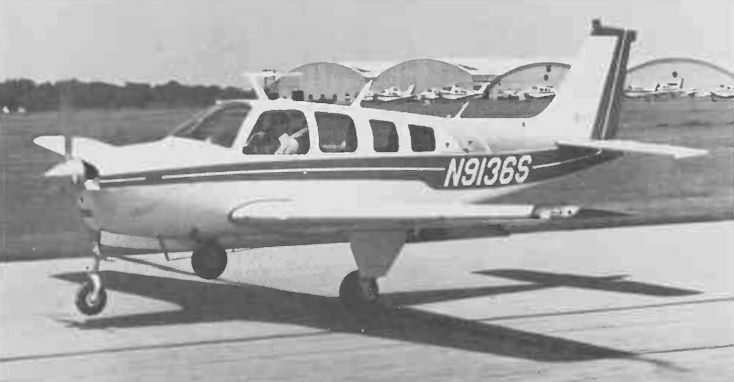 Cessna Model 414 Chancellor II. 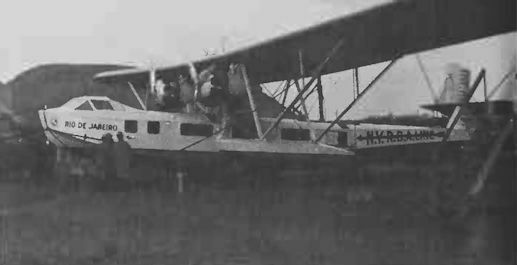 Boeing Model 6, known as the B-1 flying-boat. 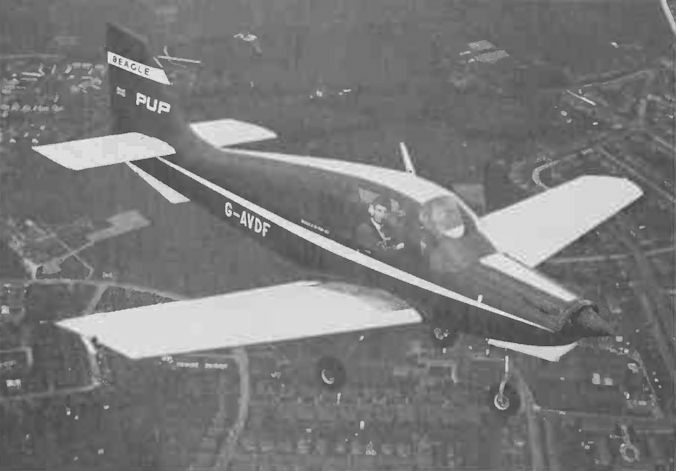 Bristol Type 142 Britain First. 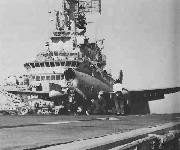 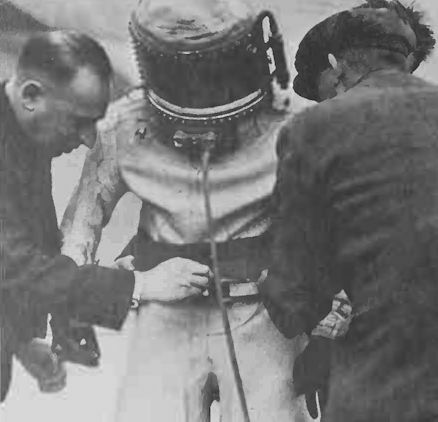 Blackburn Blackburn on board HMS Argus. 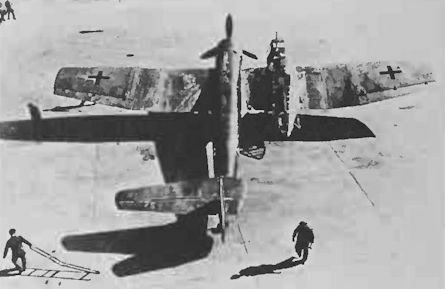 Blohm und Voss Bv 238, developed using experience gained with the Bv 222 to become the largest flying-boat of World War II. 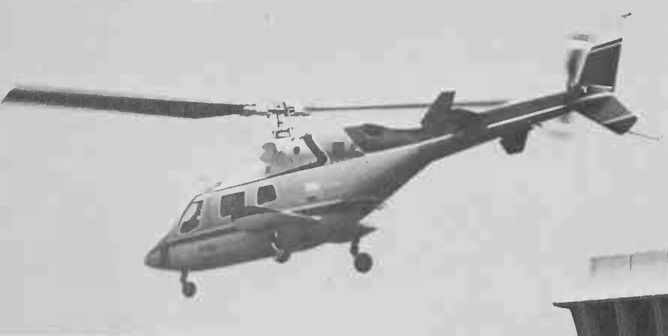 Prototype only. 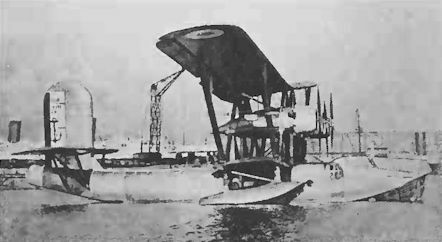 Boeing Model 1, best remembered as the B & W seaplane. 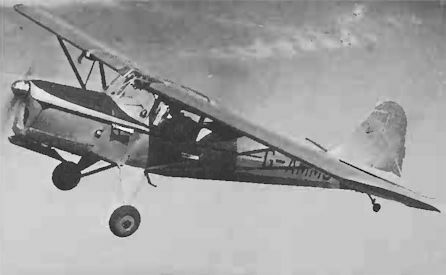 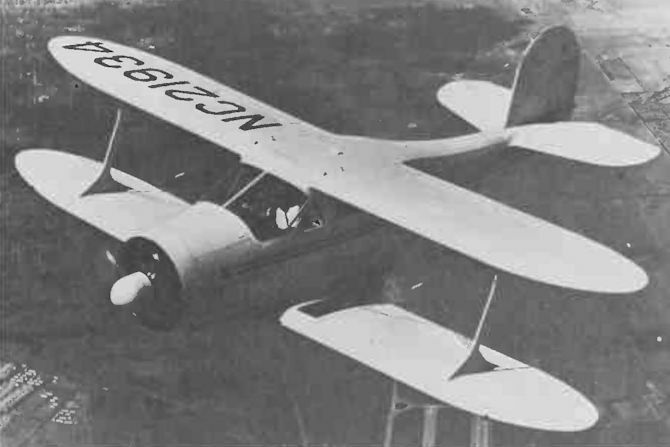 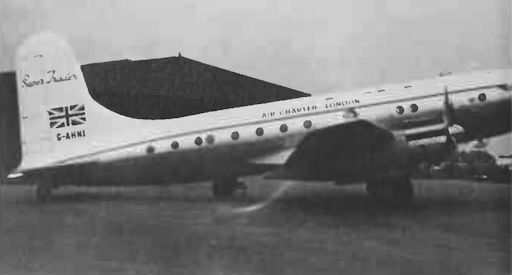 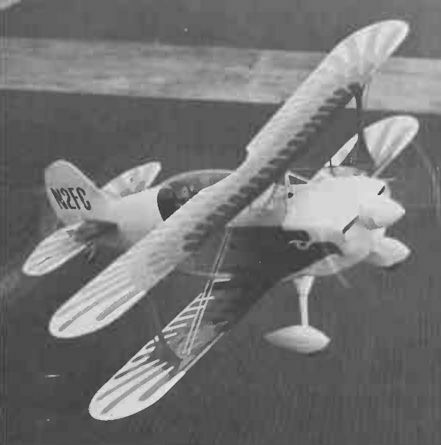 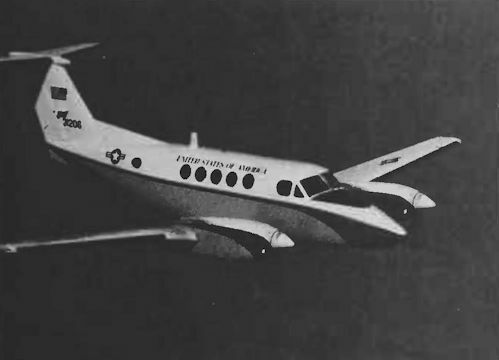 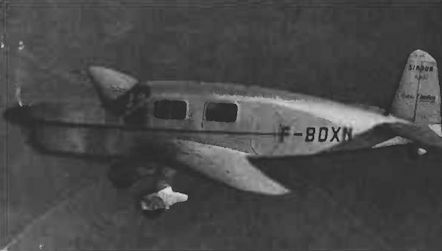 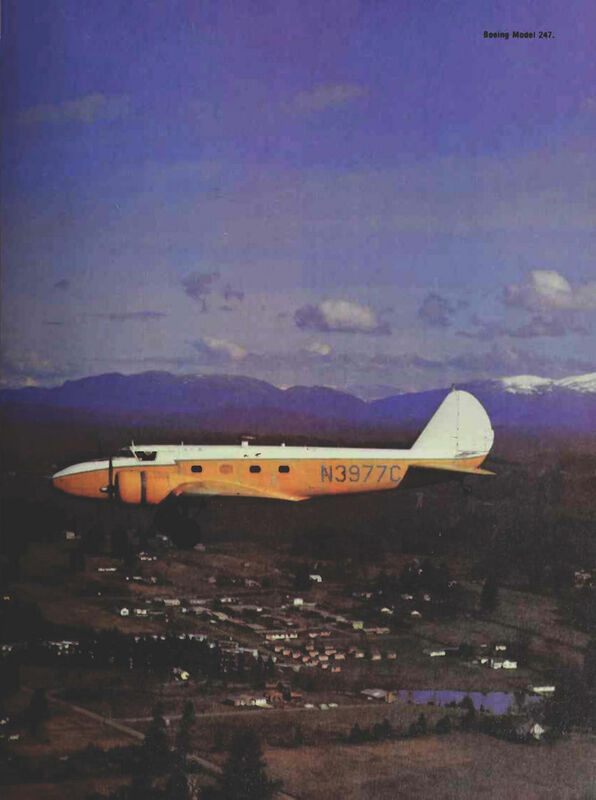 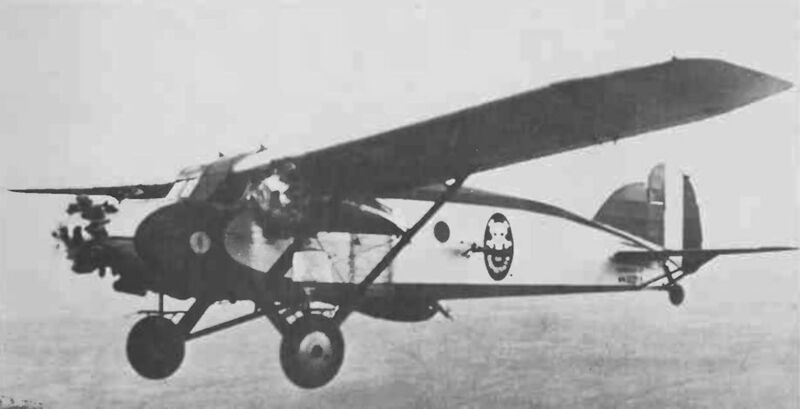 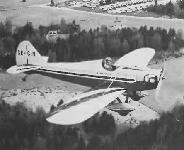 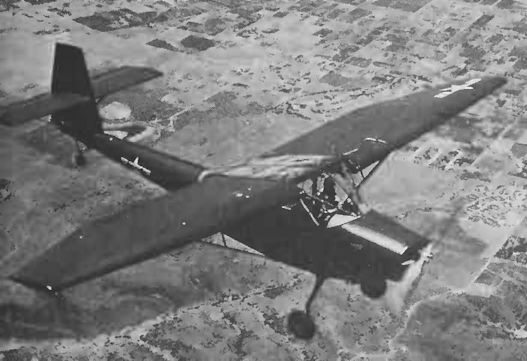 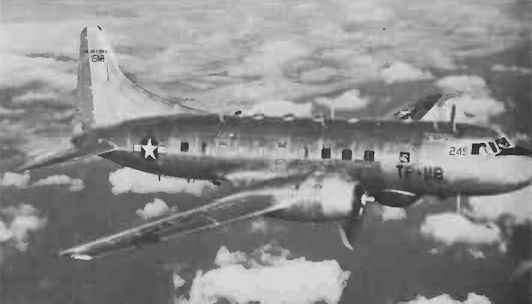 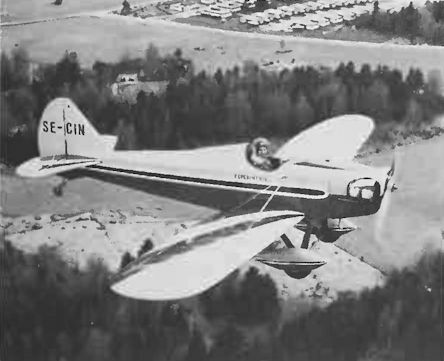 Prototype Boeing Model 10/GA-1, designated G.A.X. 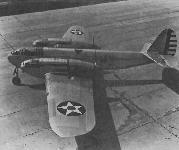 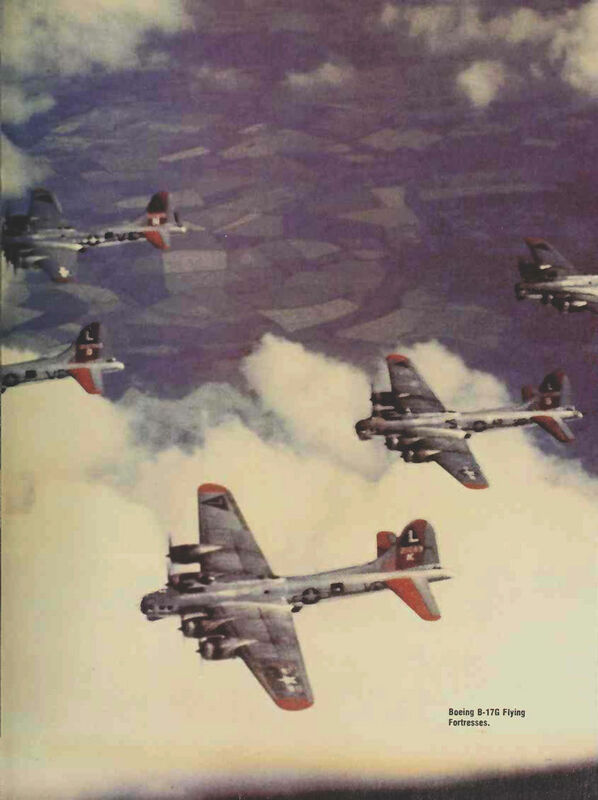 Boeing Model 215, designated YB-9 by the Army, From it was developed the Model 246. 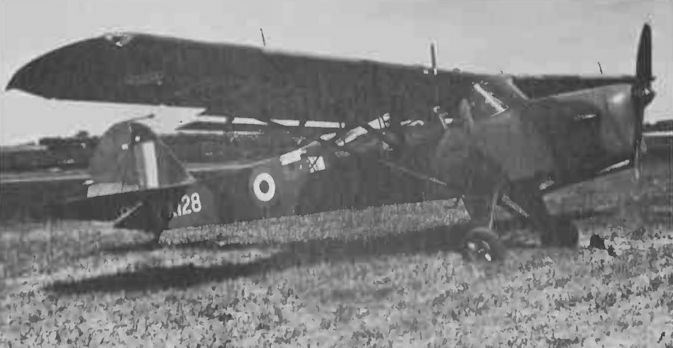 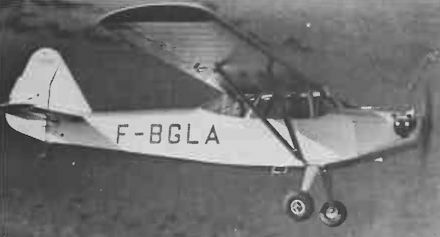 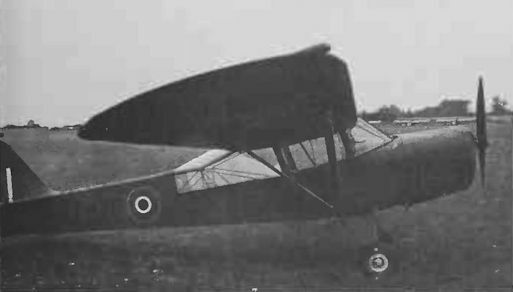 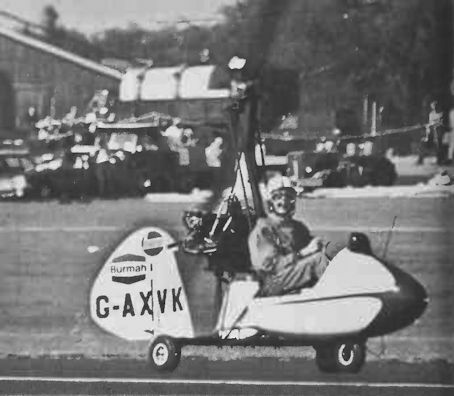 Pilatus Britten-Norman BN-2A Mk III-2 Trislander. 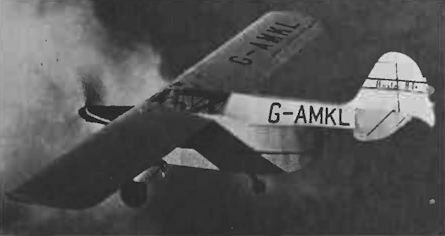 Cunliffe-Owen O.A.1 (UK) Improved version of the Burnelli UB-14 airliner, built during 1937-38 and powered by two Bristol Perseus XIV engines. 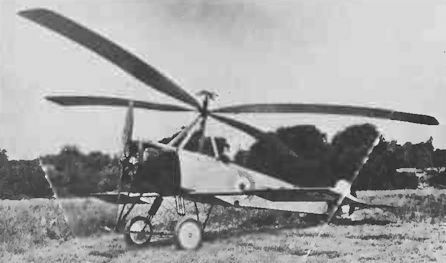 One operated by the French in Africa. 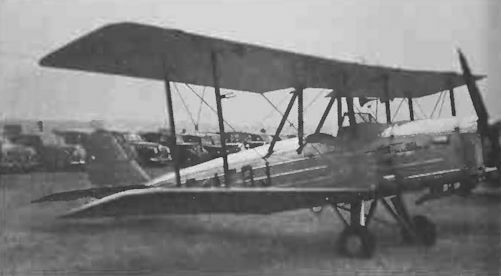 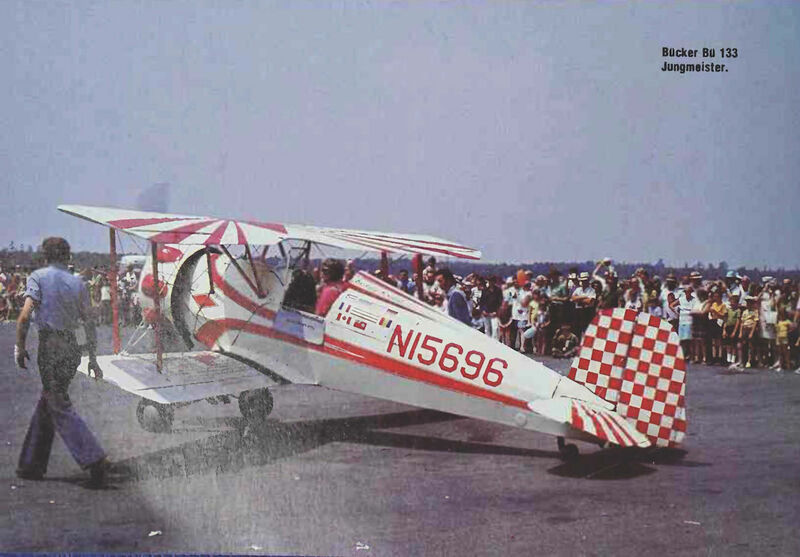 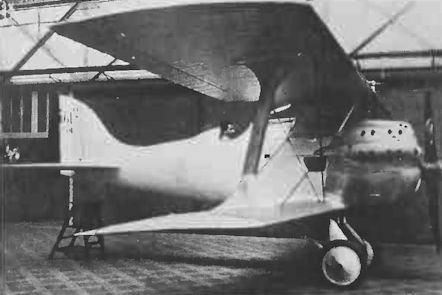 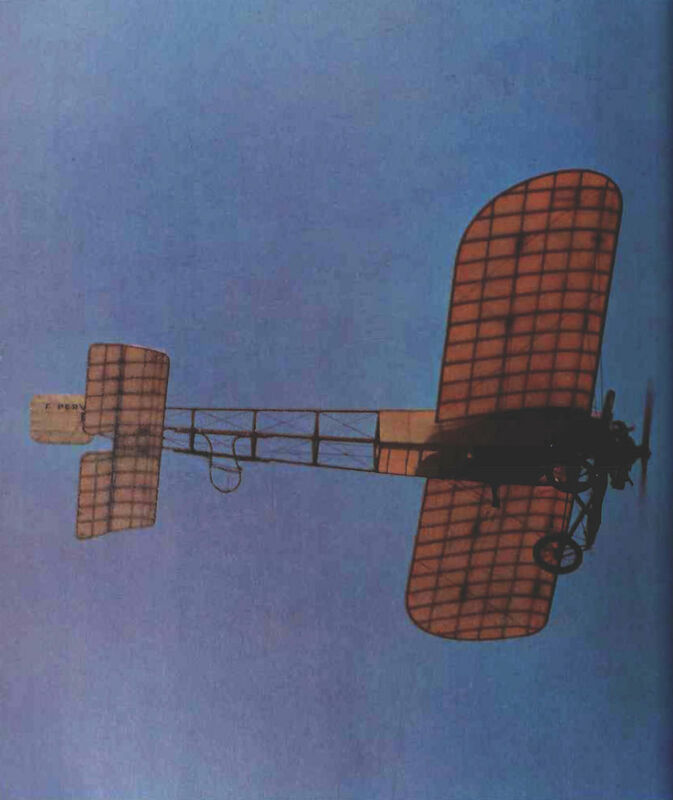 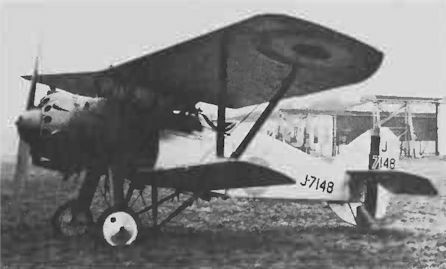 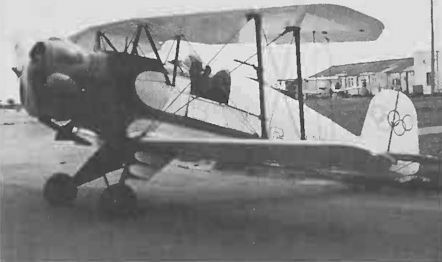 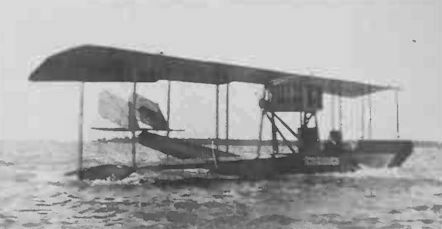 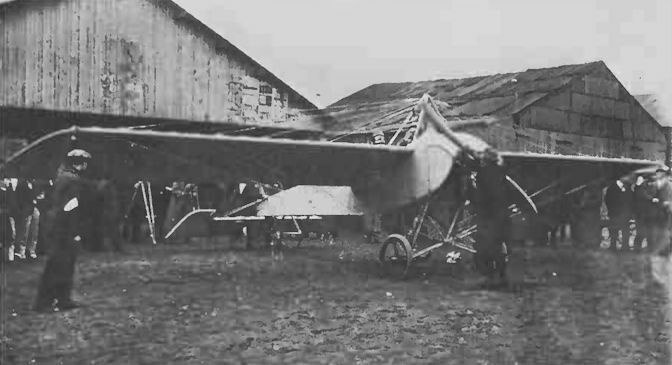 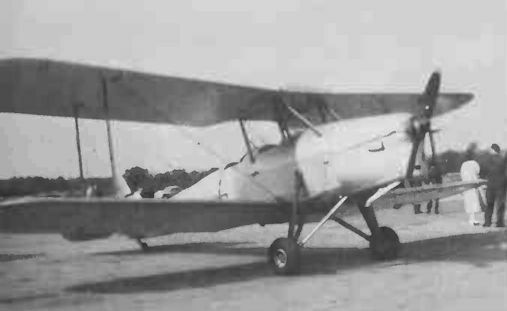 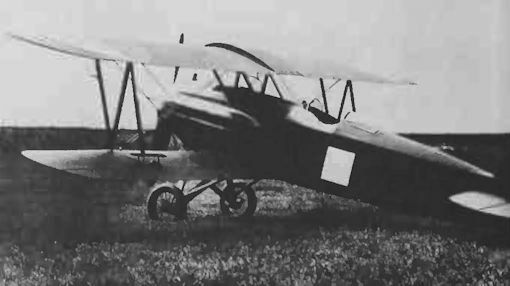 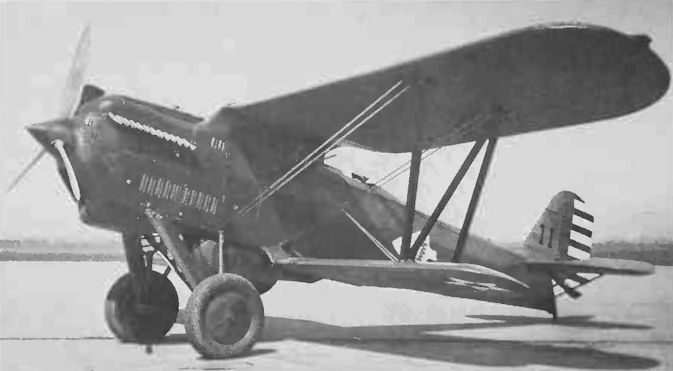 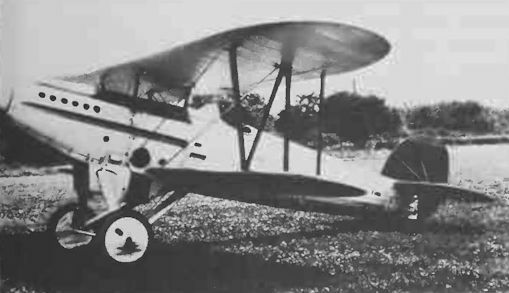 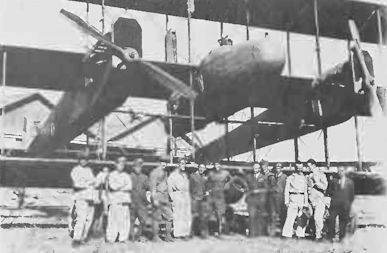 An American-built (Standard Aircraft) Caproni Ca 5. 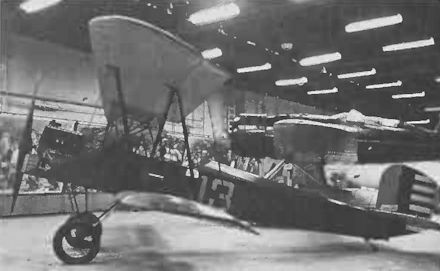 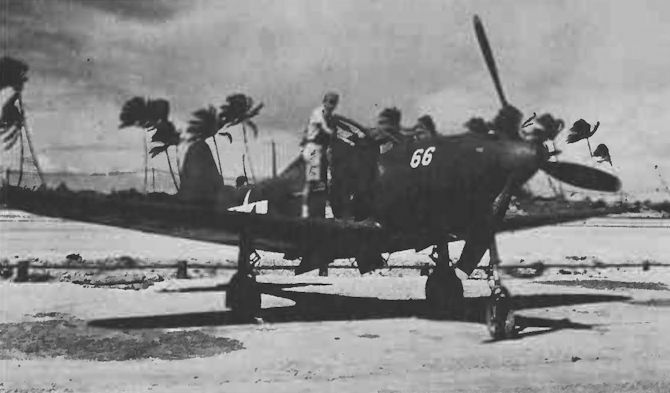 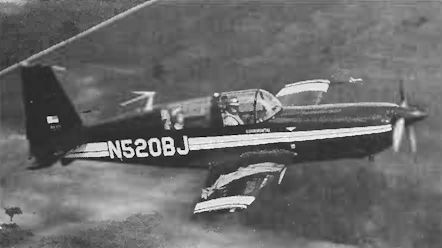 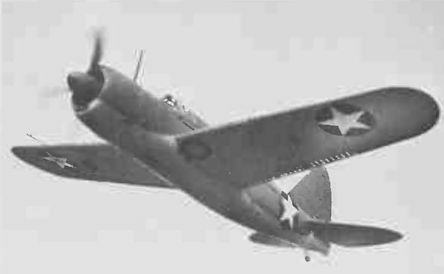 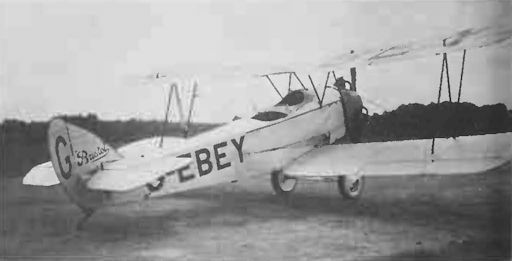 Consolidated PB-2A modified into a single-seat fighter. 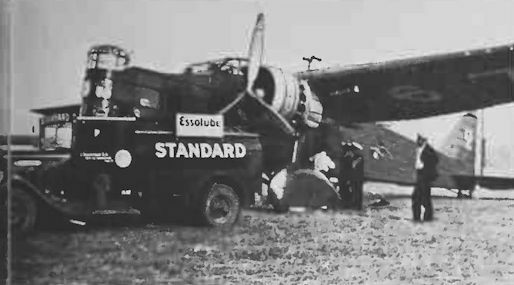 Remained a prototype. 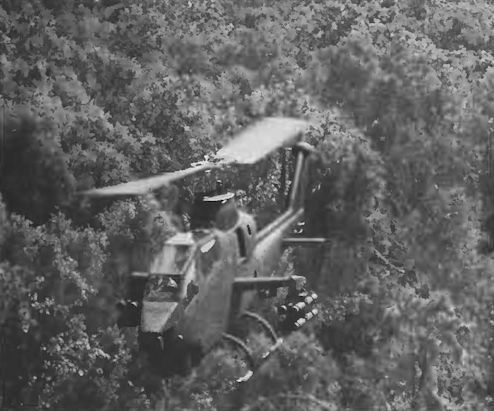 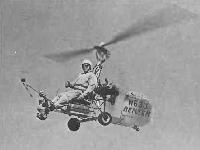 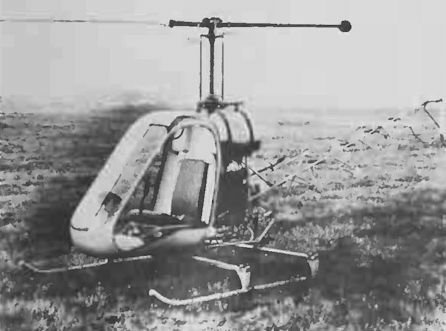 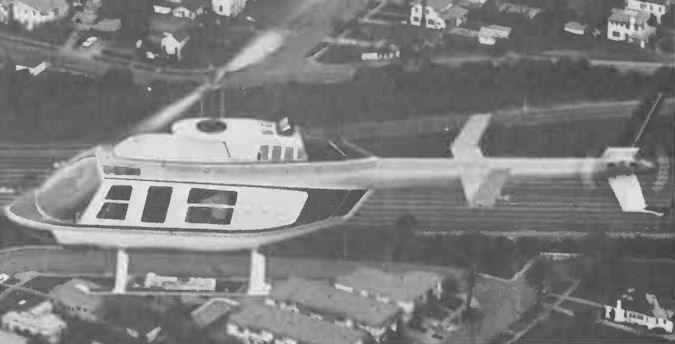 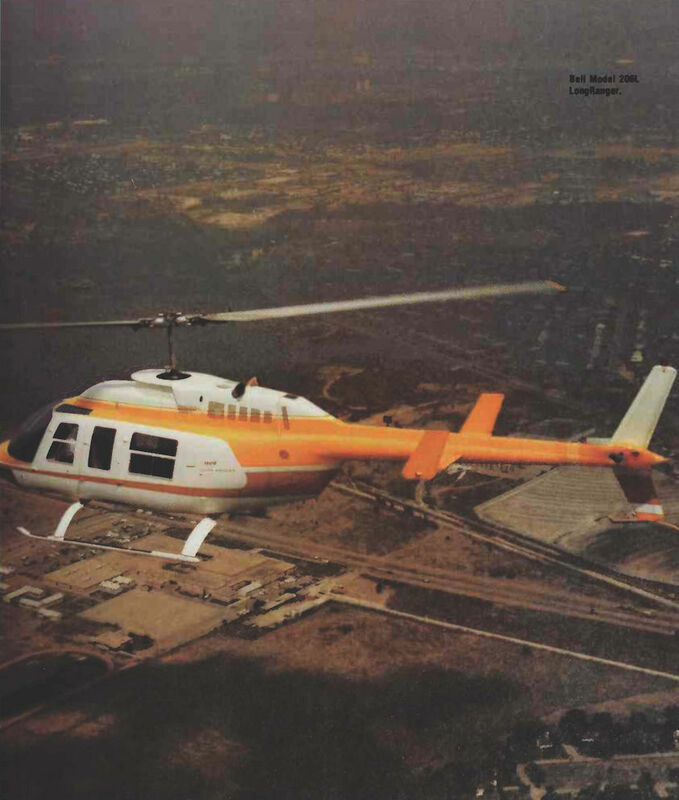 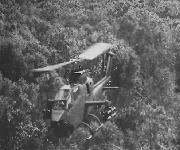 Continental Copters El Tomcat IIIB. 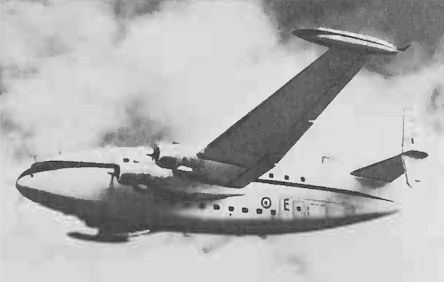 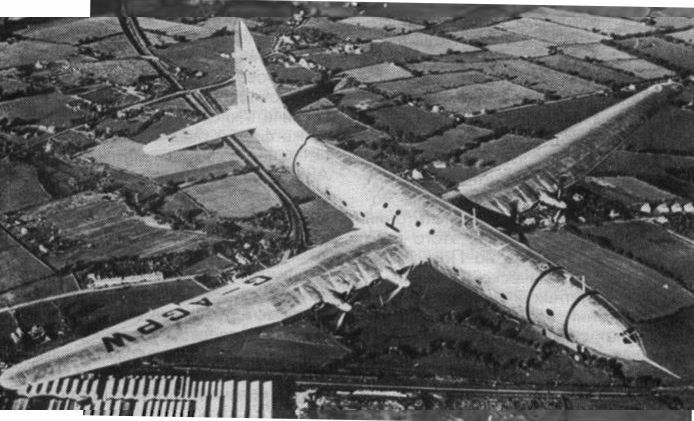 Armstrong Whitworth Atalanta, named Aurora in Indian Air Force service as DG454, wrongly applied as DC454. 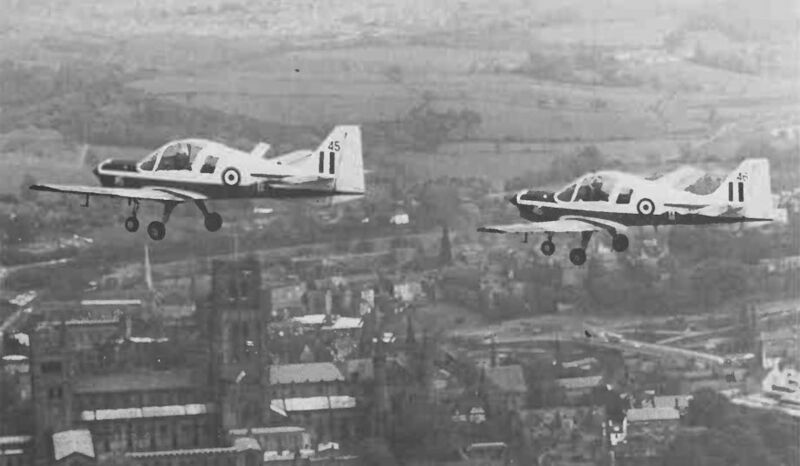 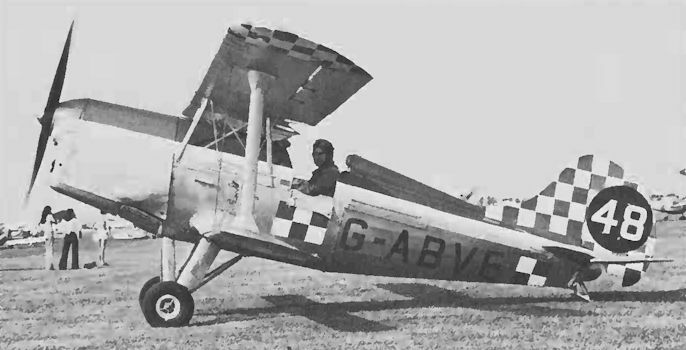 Avions Fairey T.66 Tipsy Nipper Mk 2. 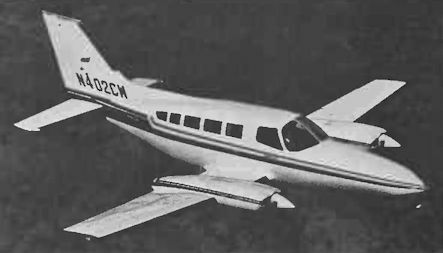 Bell Model 412 advanced-technology, four-blade variant of the Model 212. 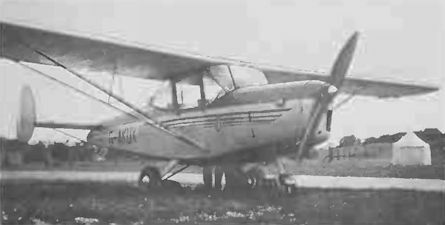 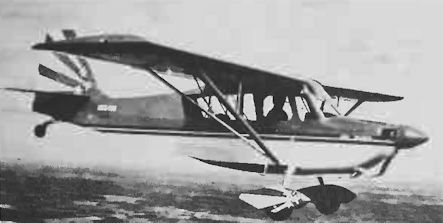 Civil Aviation Department Revathi Mk I. 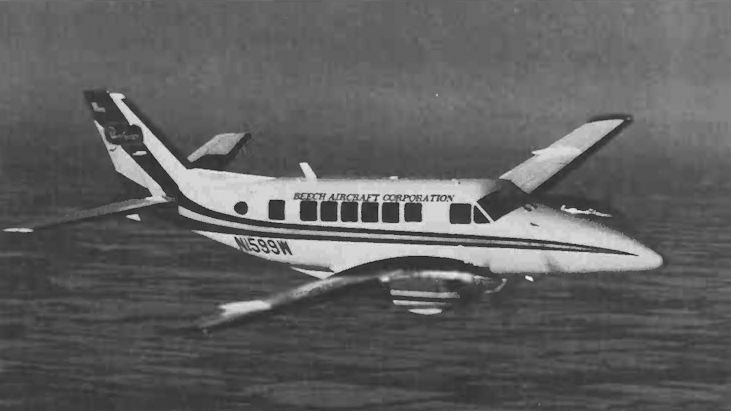 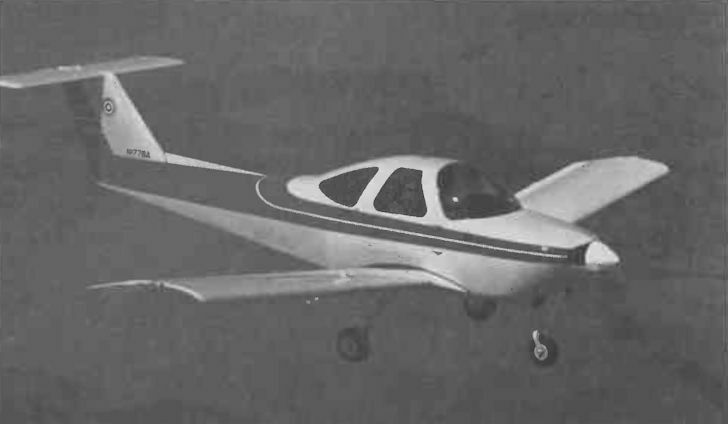 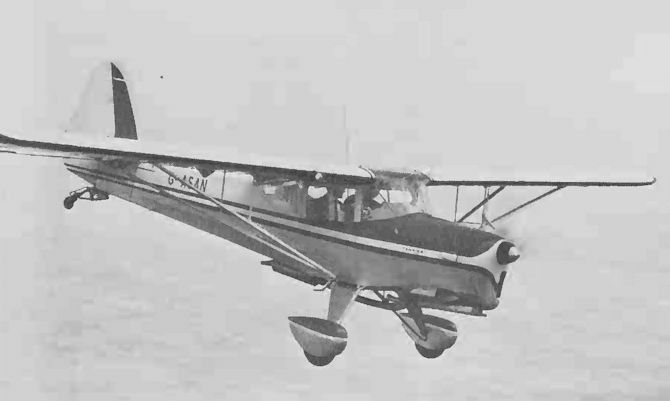 Civil Aviation Department Revathi Mk II. 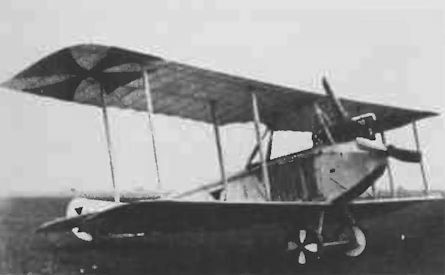 Coates SA.II Swalesong Series I, from which the SA.III has been developed. 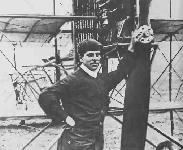 Alliott Verdon Roe with his 1907 model aeroplane. The original Brantly B-1 of 1946. 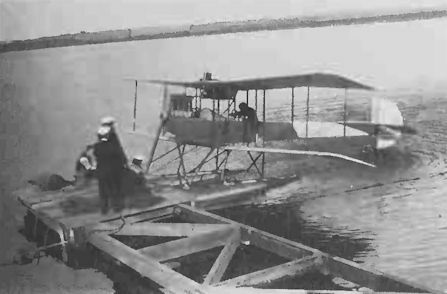 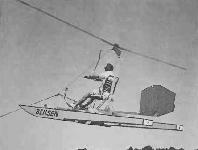 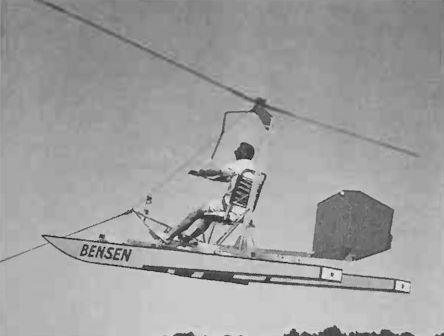 [Burgess U] One of several Burgess seaplanes designed for the US Navy. 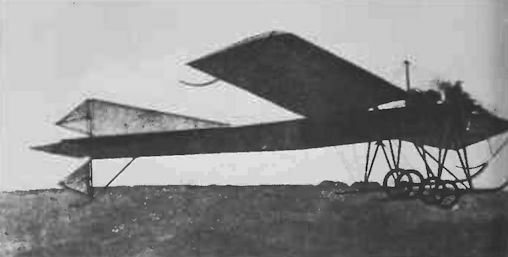 Caproni monoplane, retrospectively known as the Ca 14.